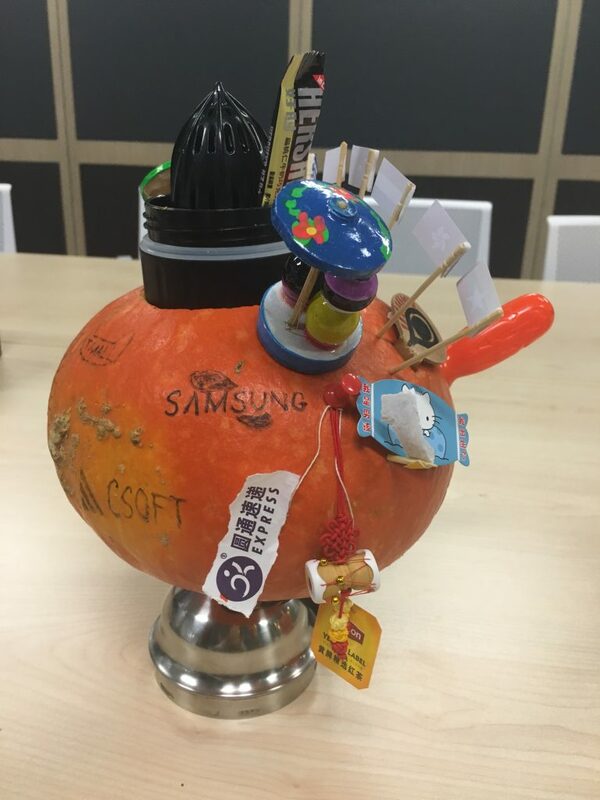 CSOFT Halloween - The Last Pumpkin Standing! 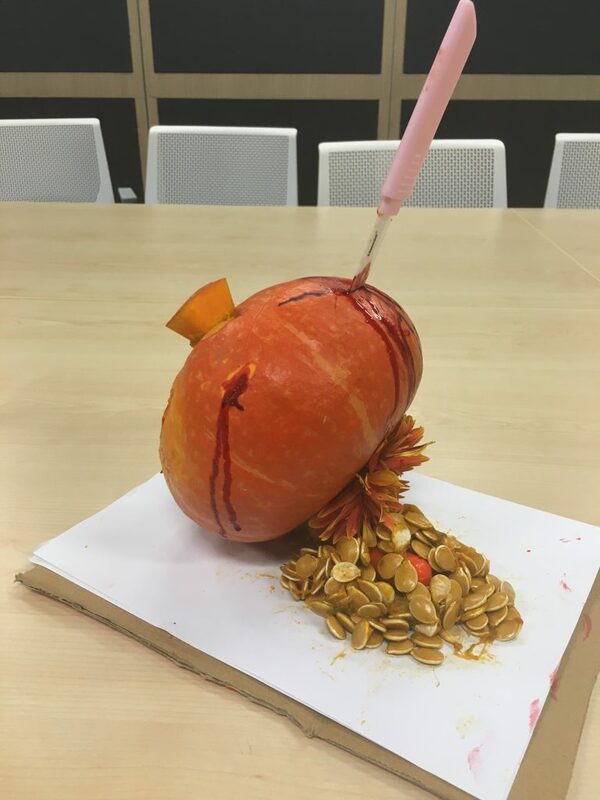 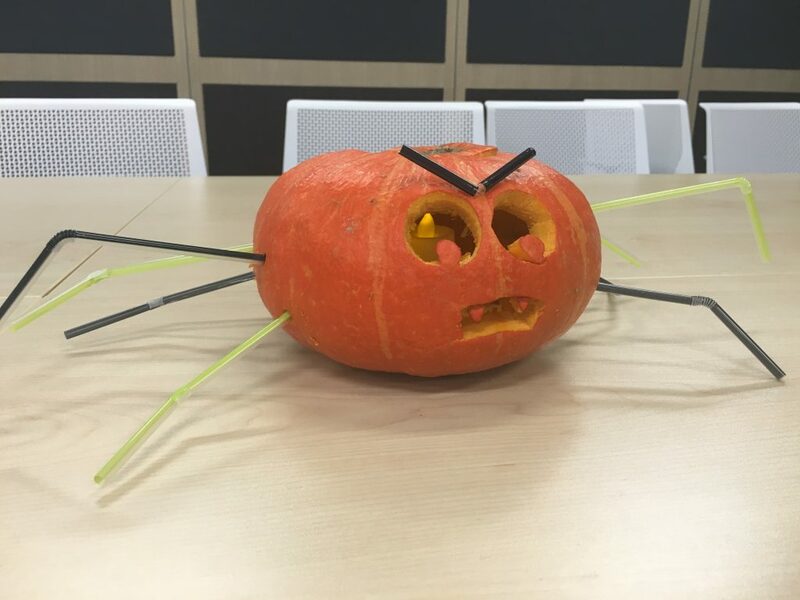 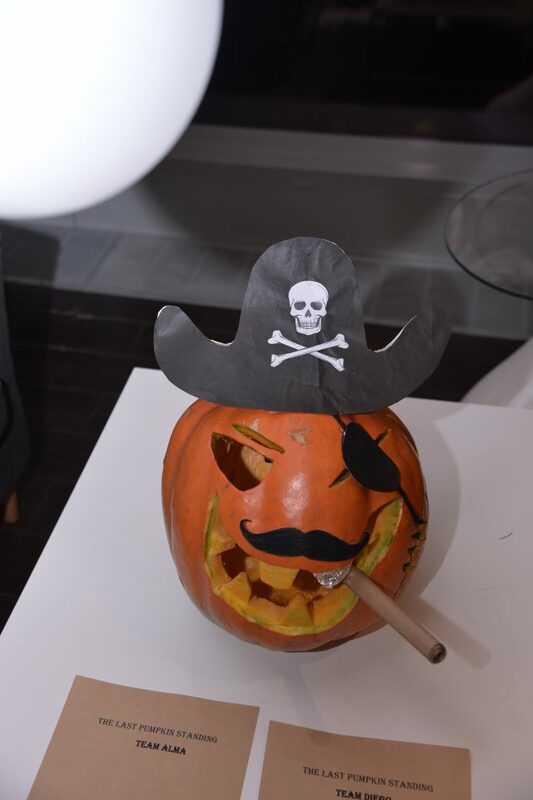 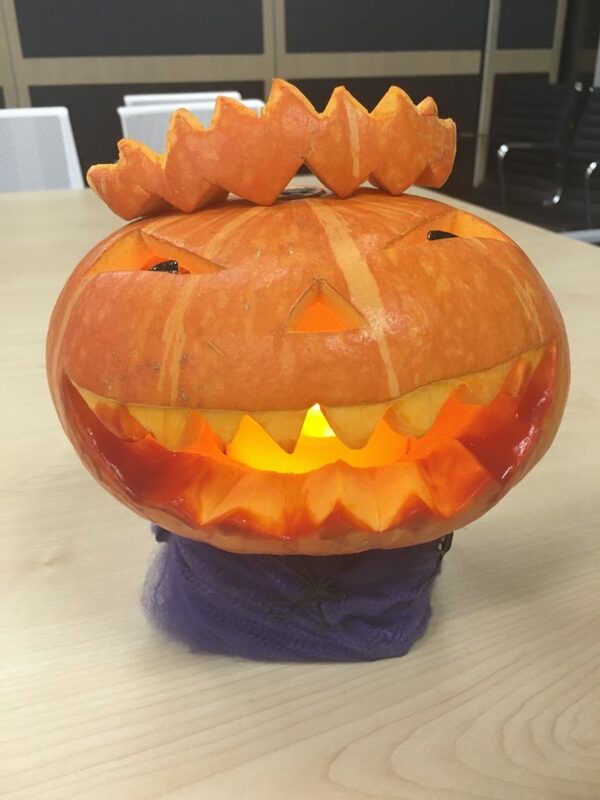 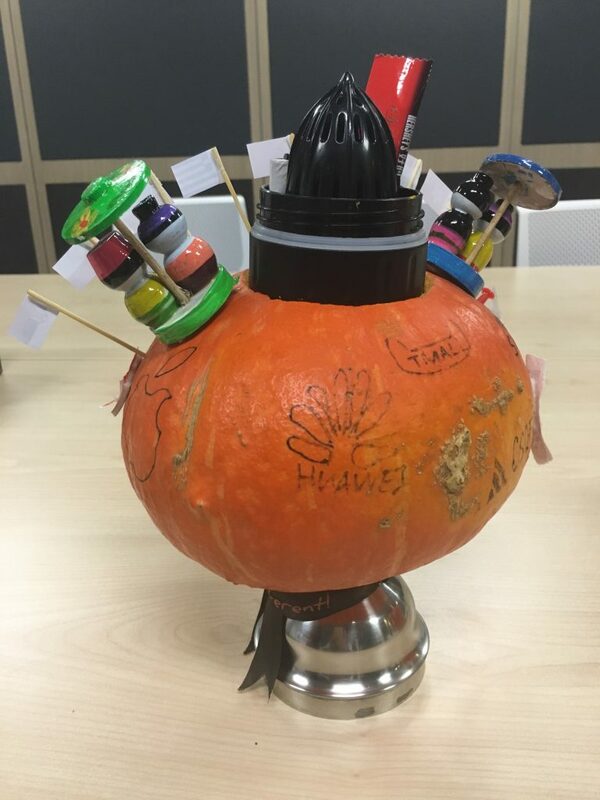 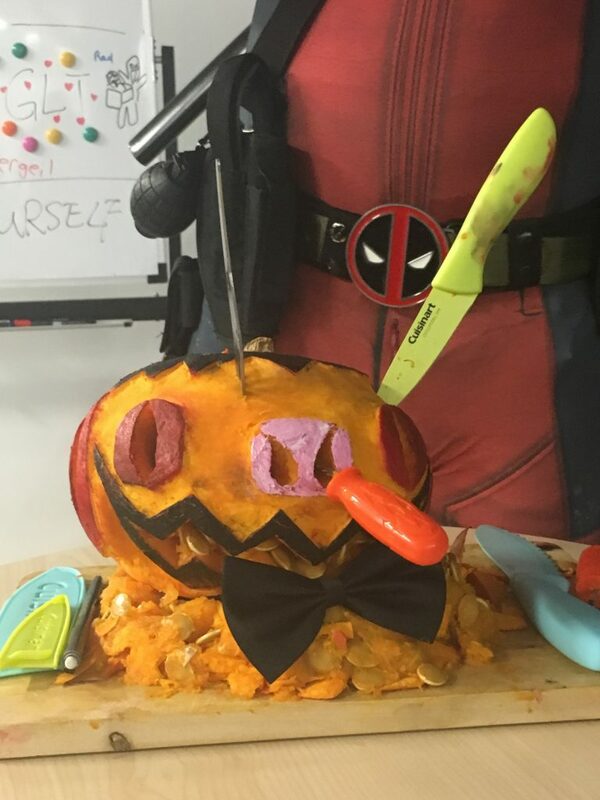 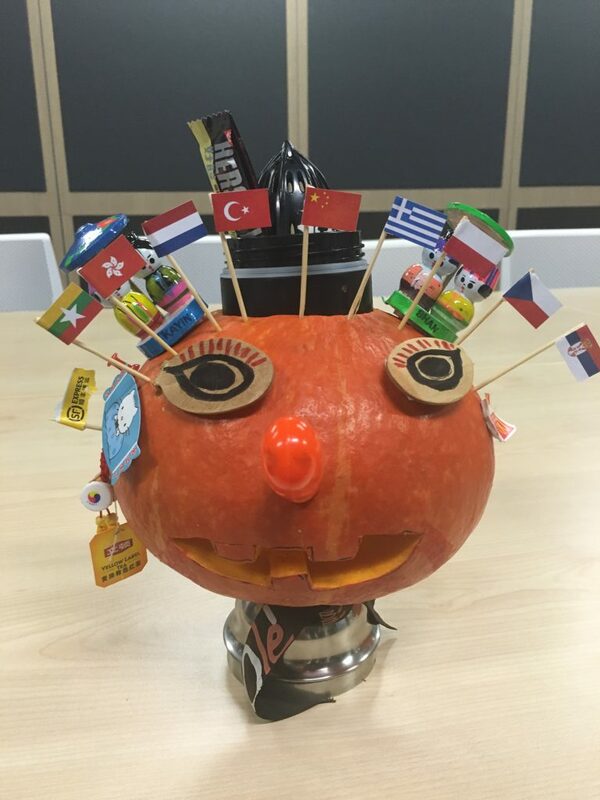 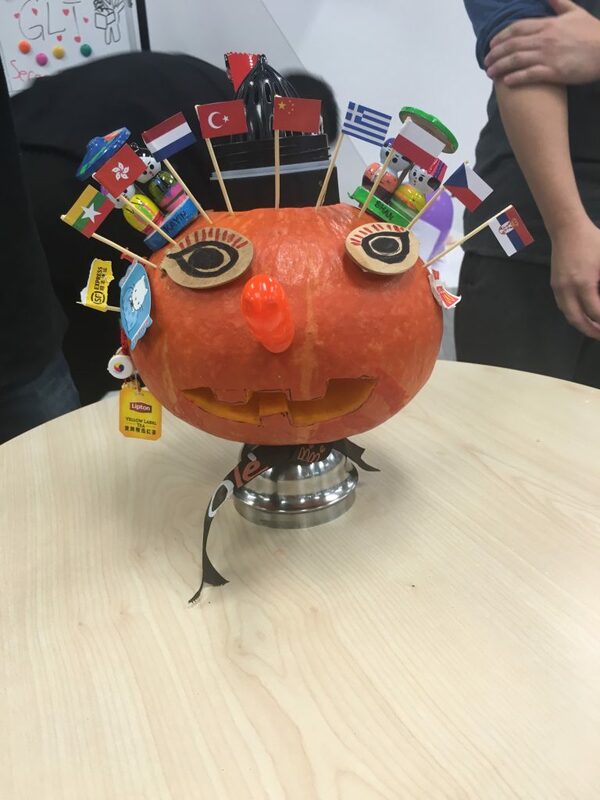 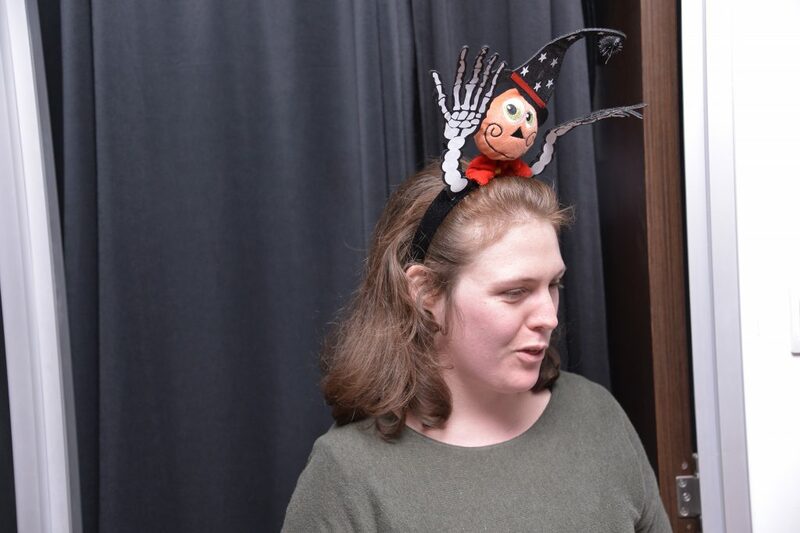 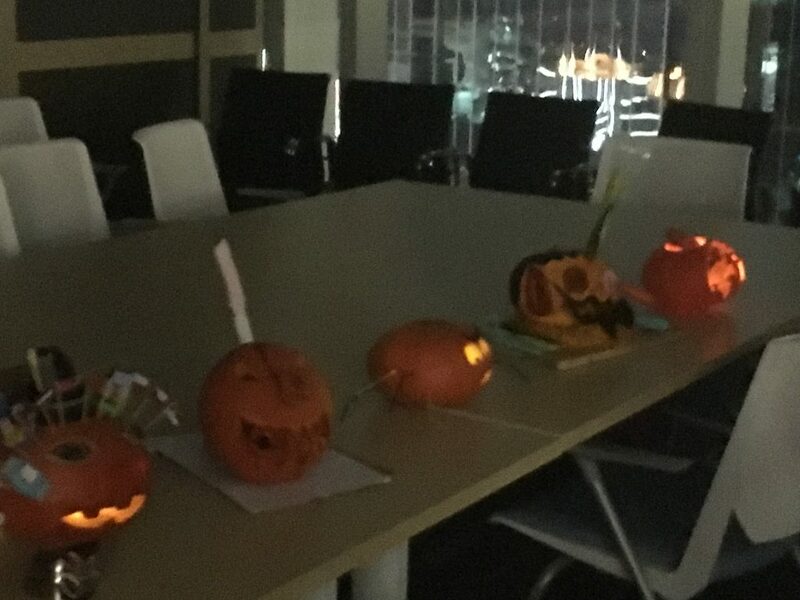 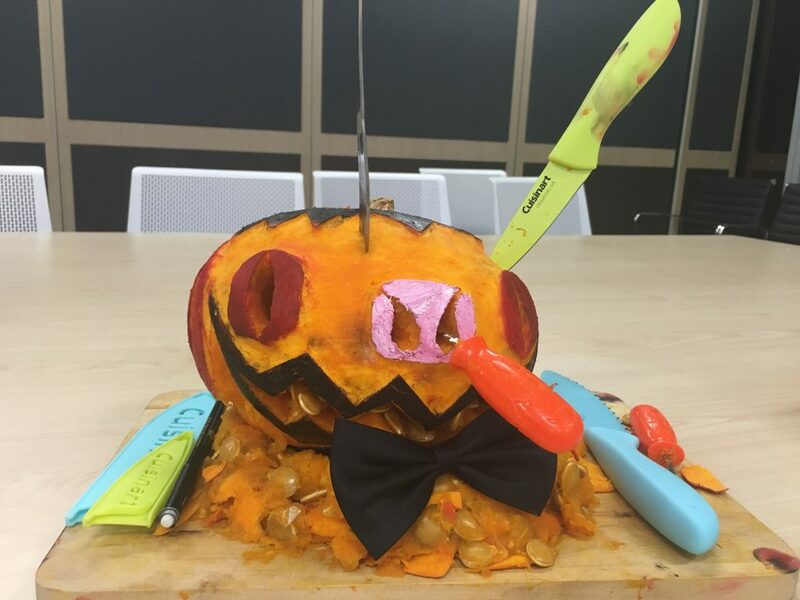 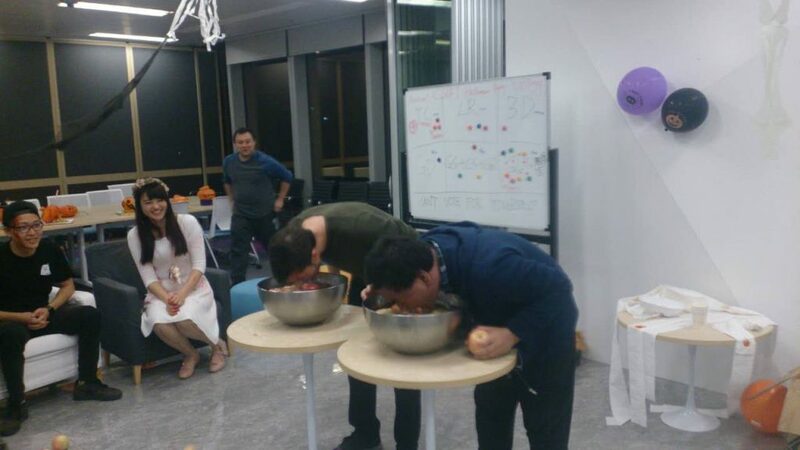 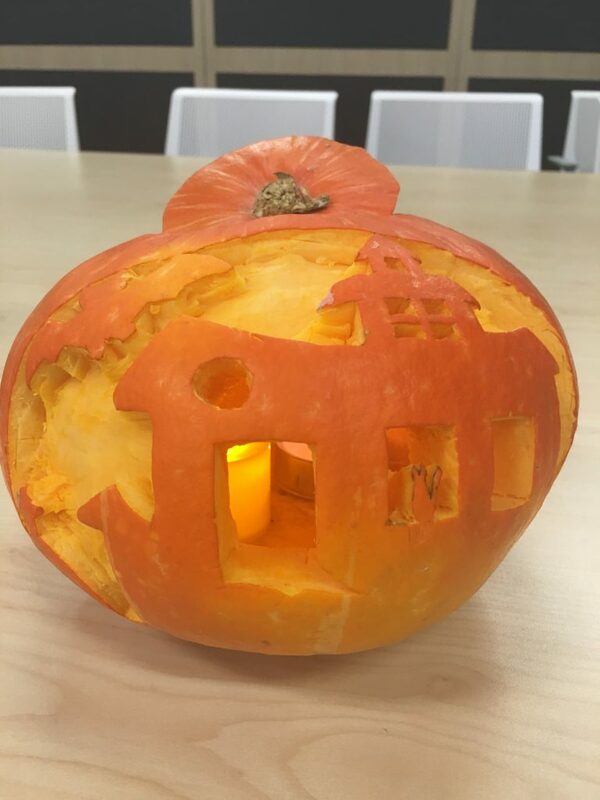 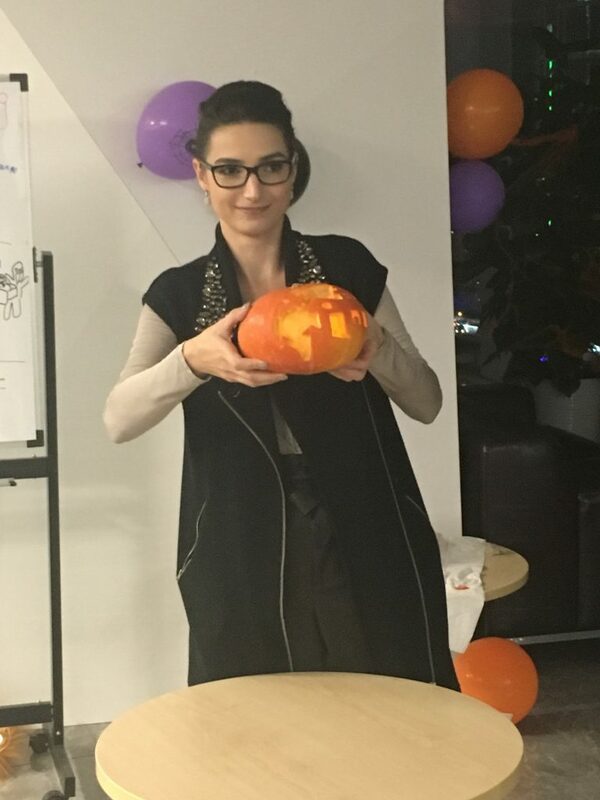 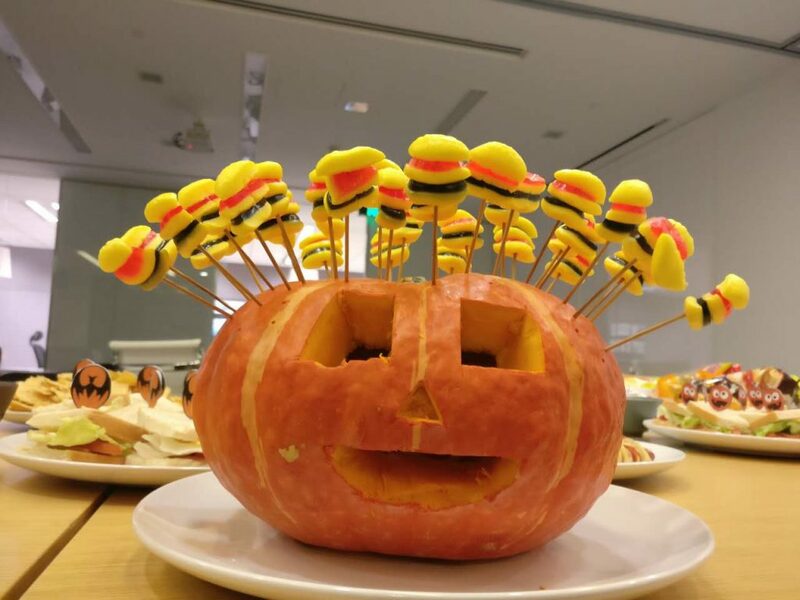 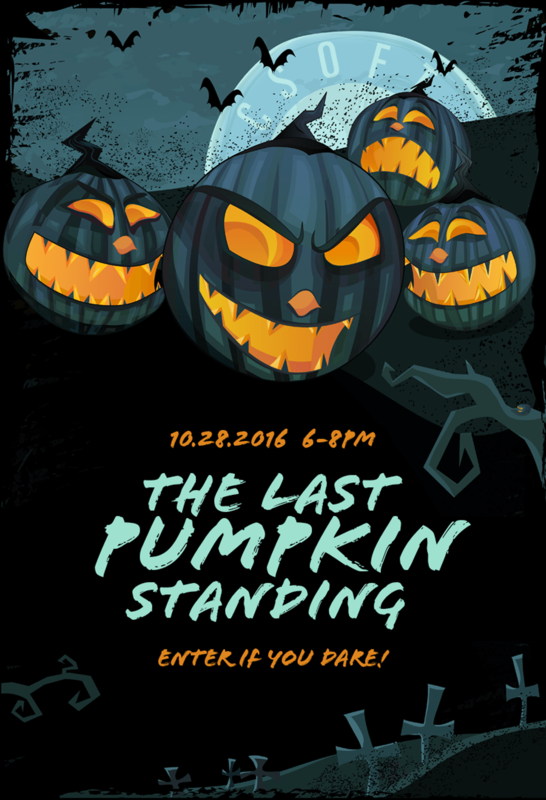 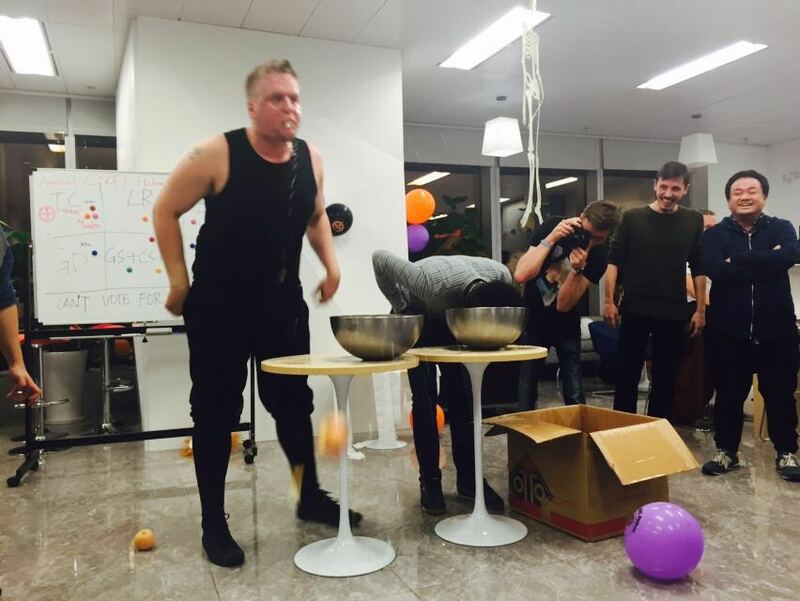 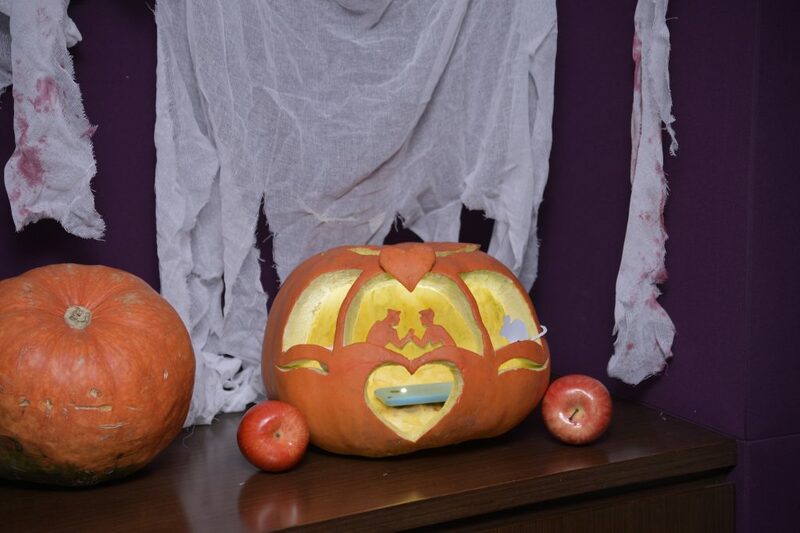 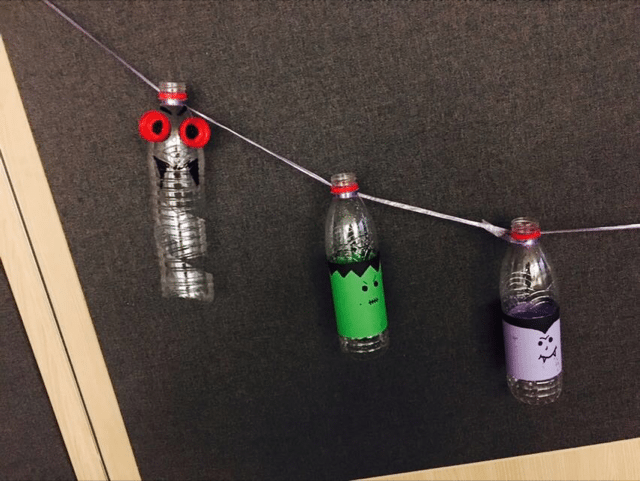 CSOFT Halloween – The Last Pumpkin Standing! 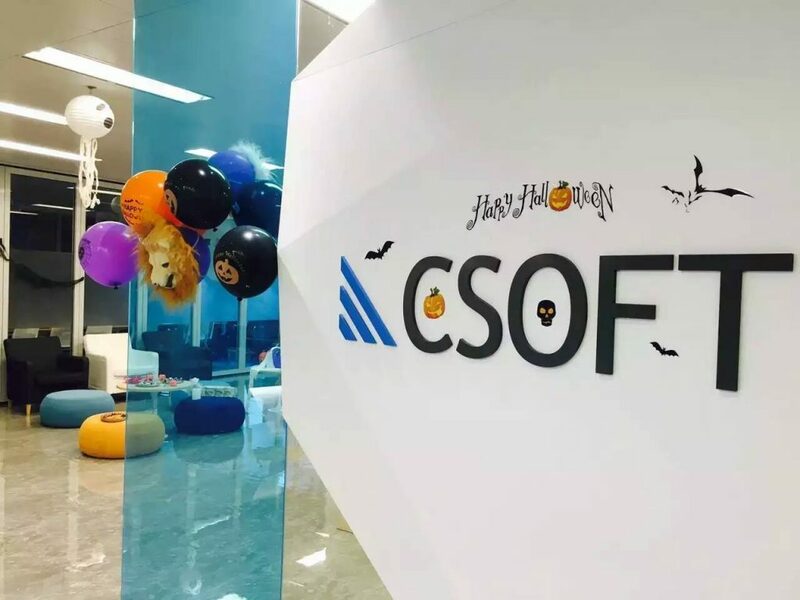 It was a chilly October night on Friday the 28th and CSOFT employees were busy finishing their work and preparing for the weekend ahead. 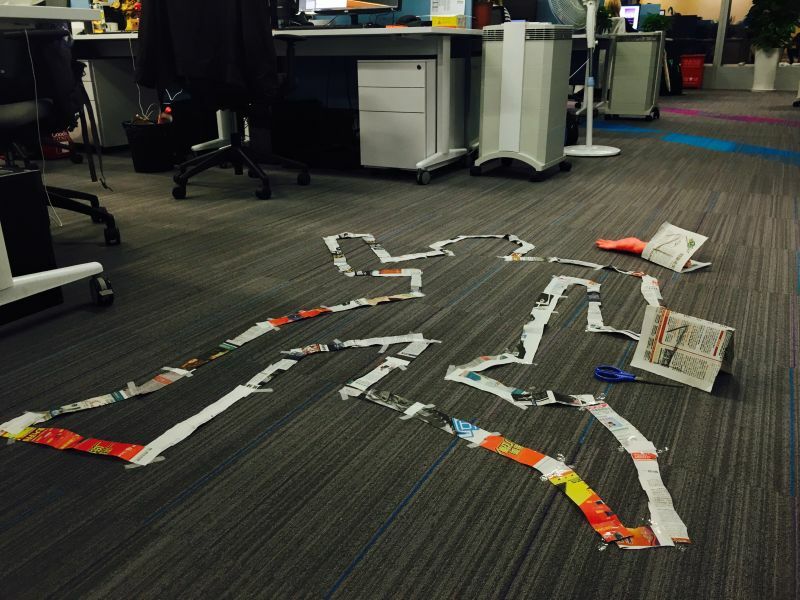 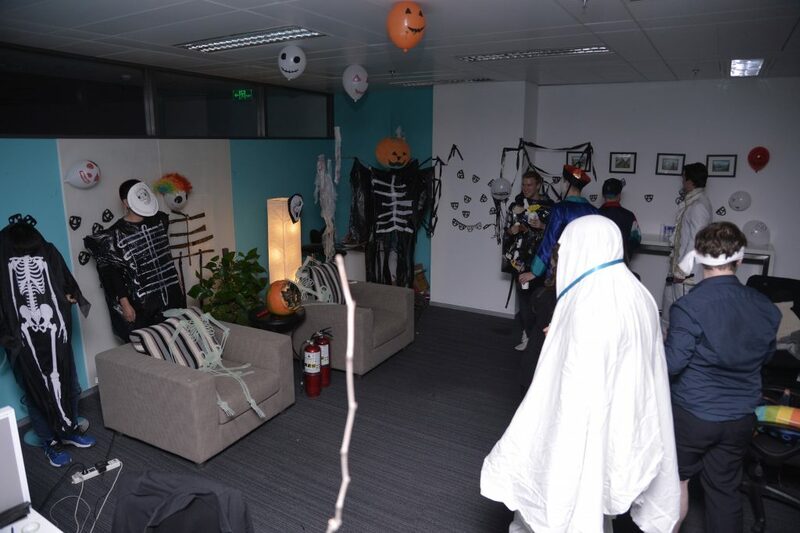 But, as the ghostly masks, glaring pumpkins, and ghastly rags appeared around the room, it became clear that that this wasn’t a normal Friday night at the office. 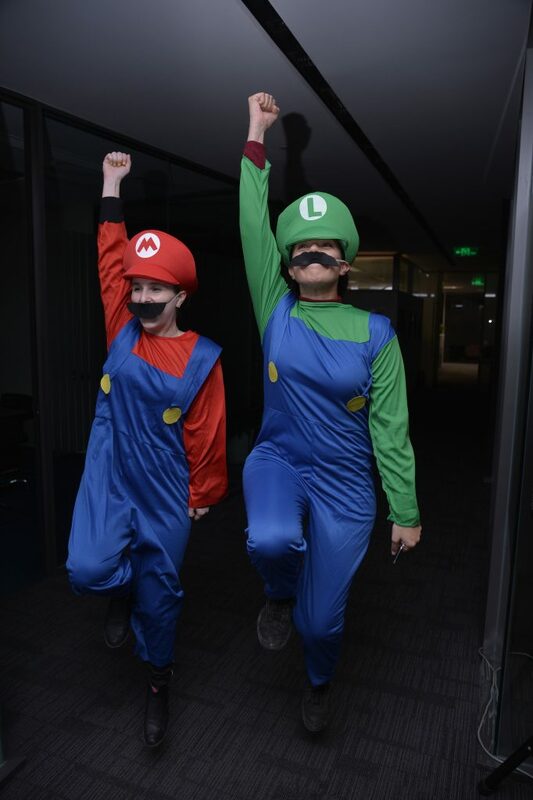 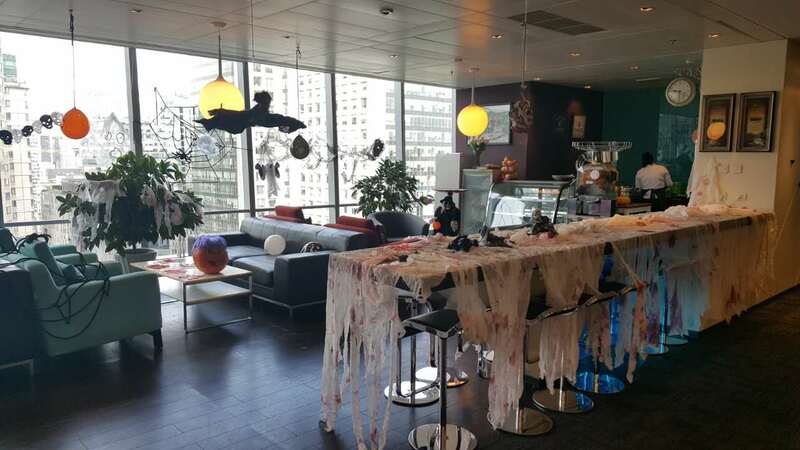 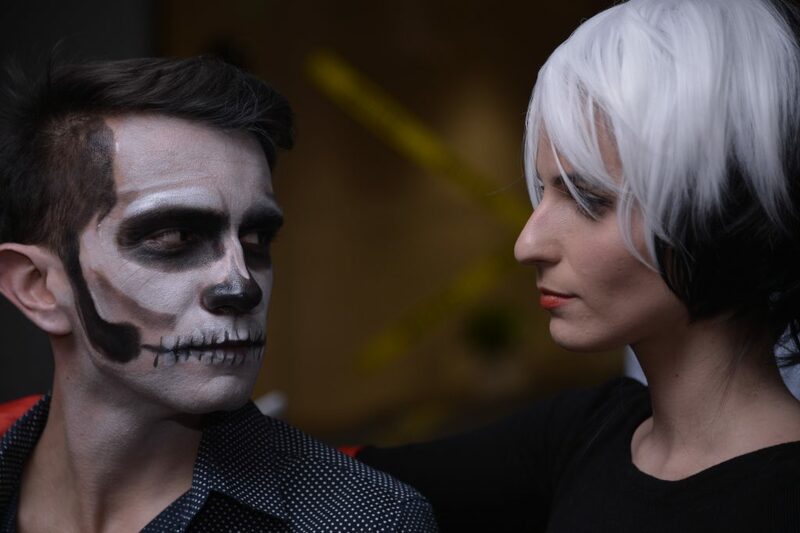 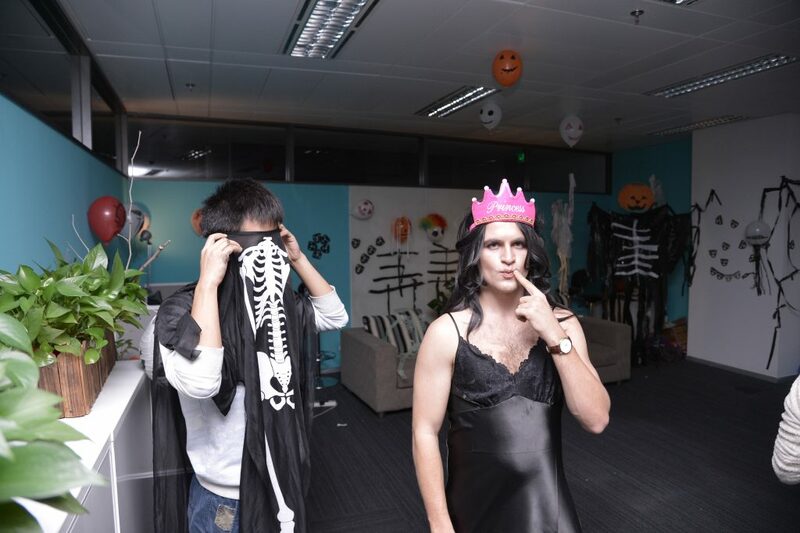 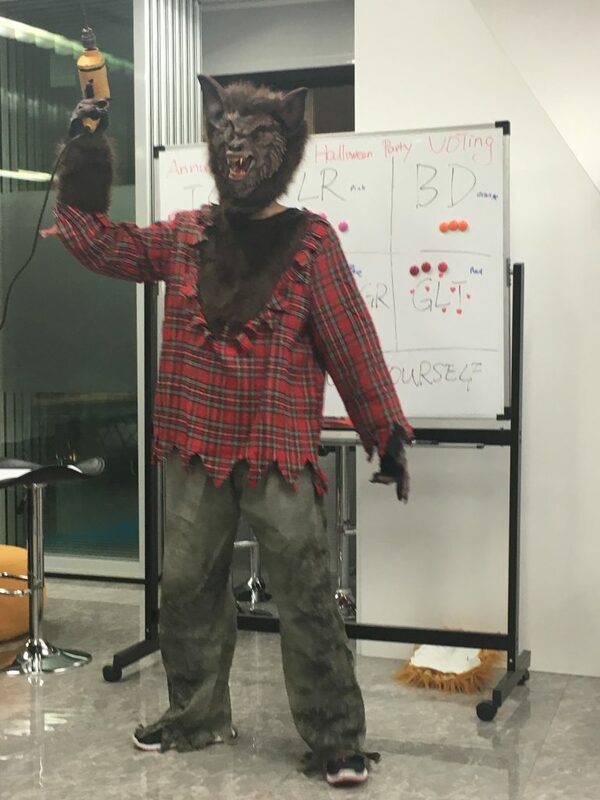 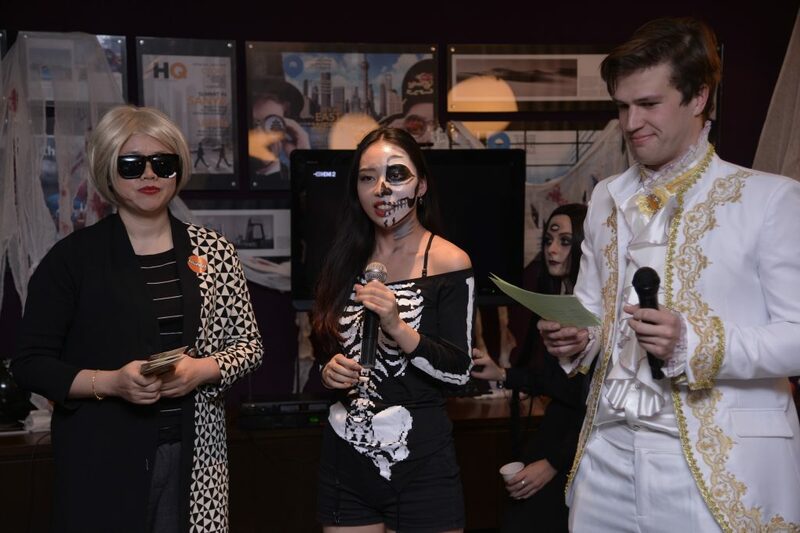 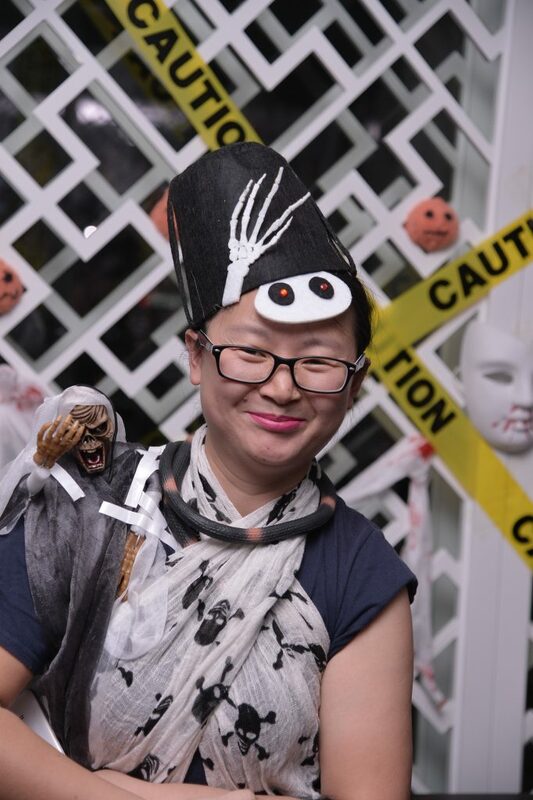 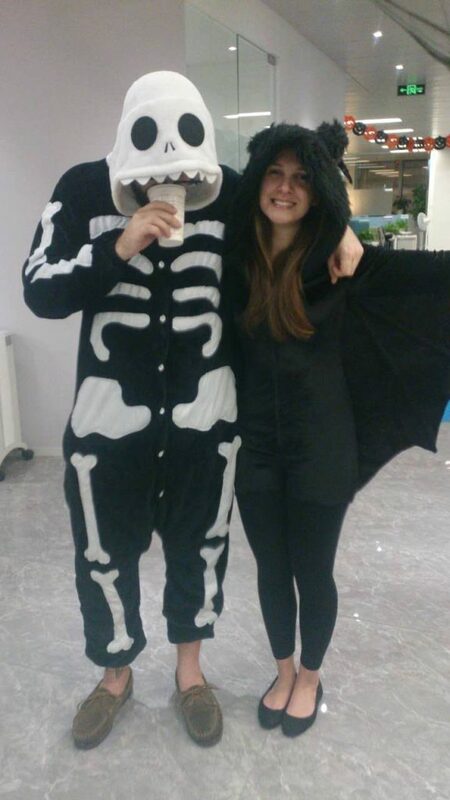 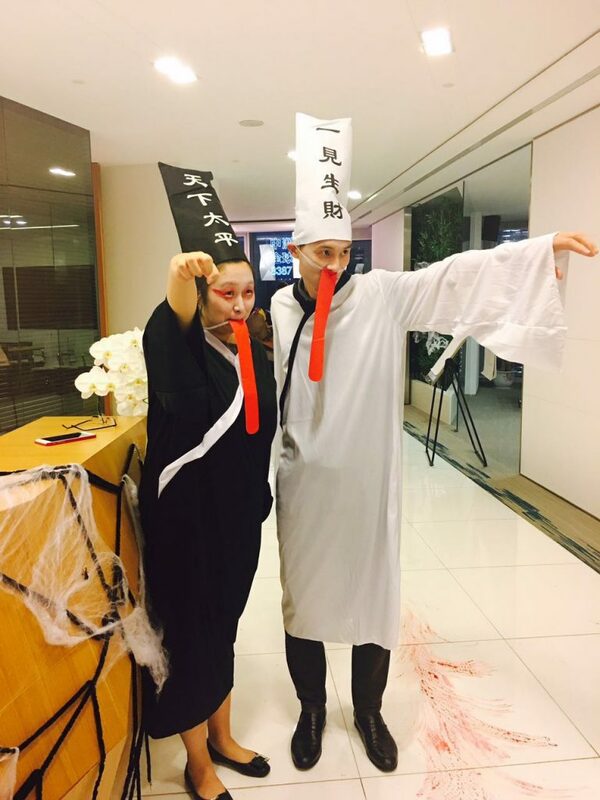 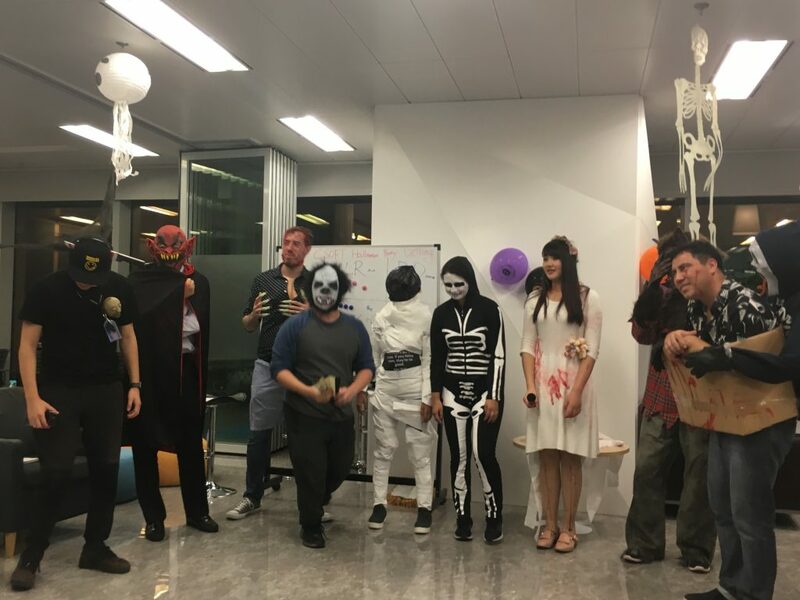 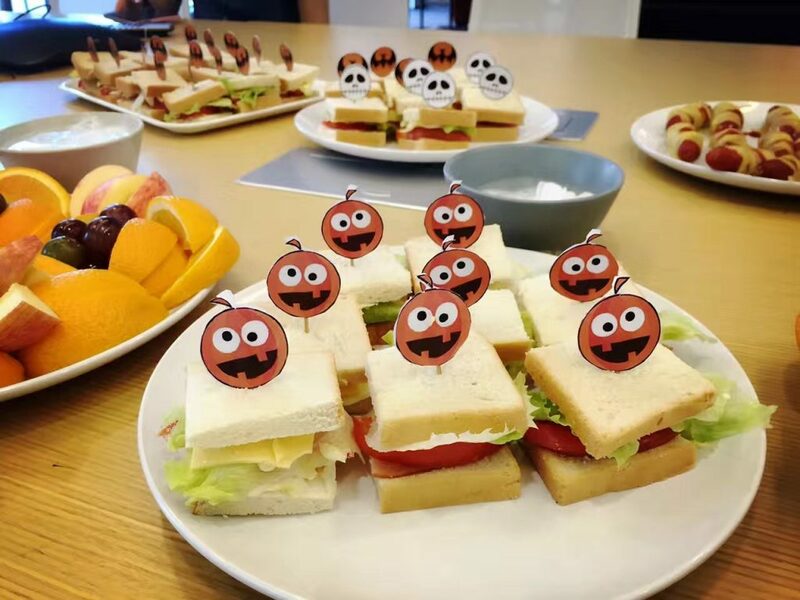 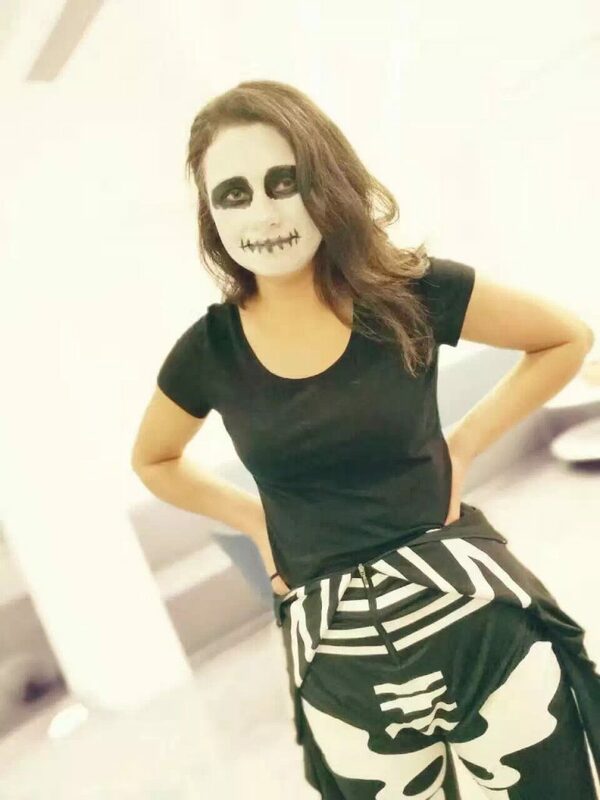 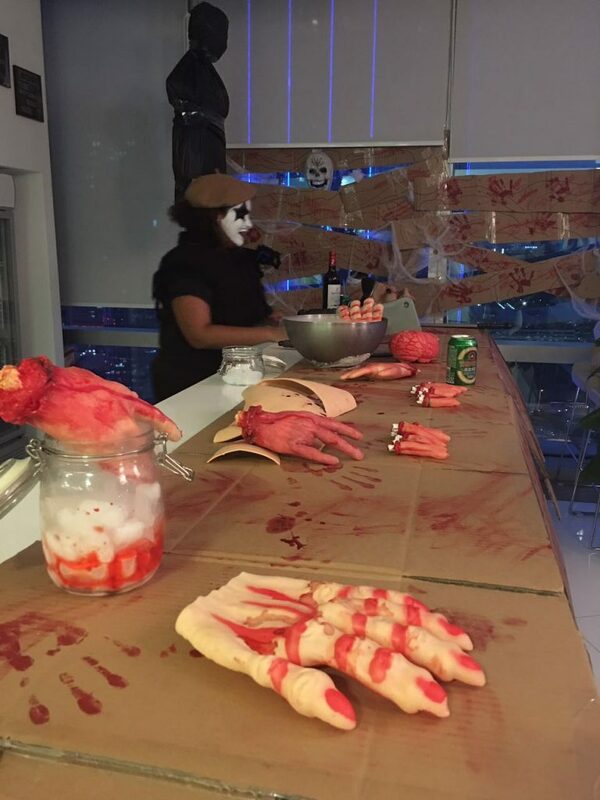 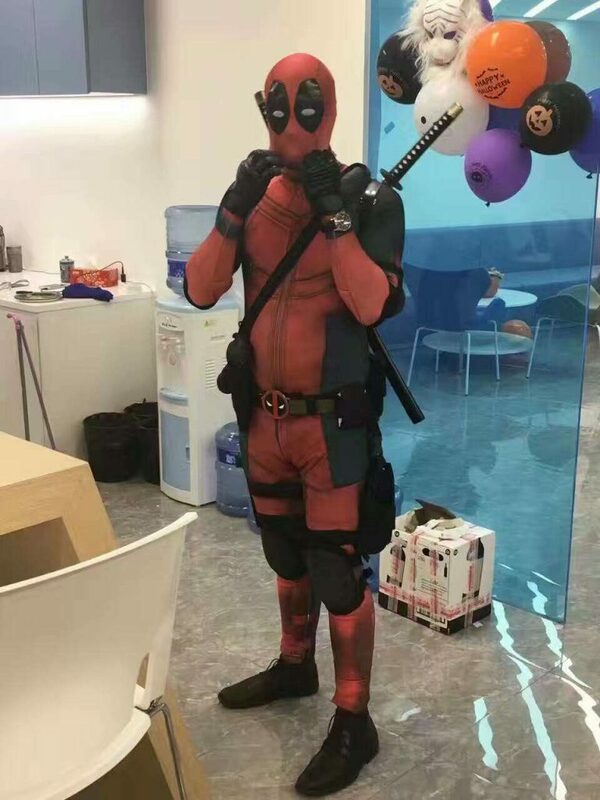 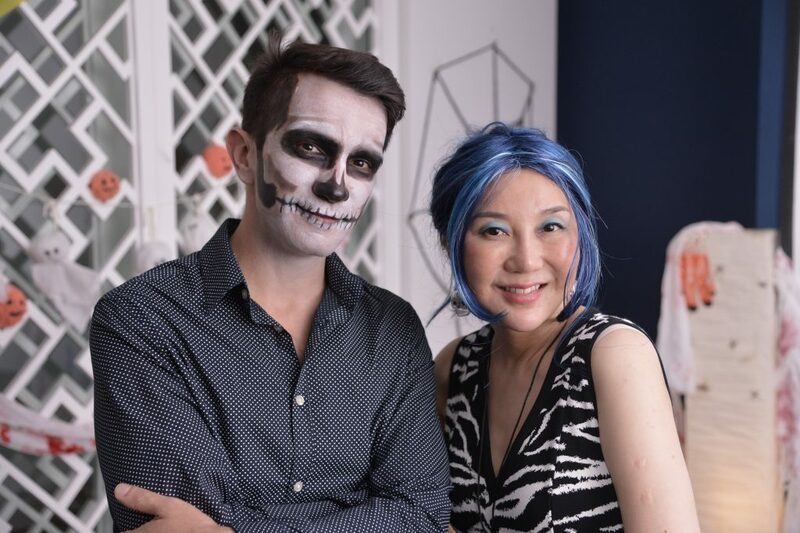 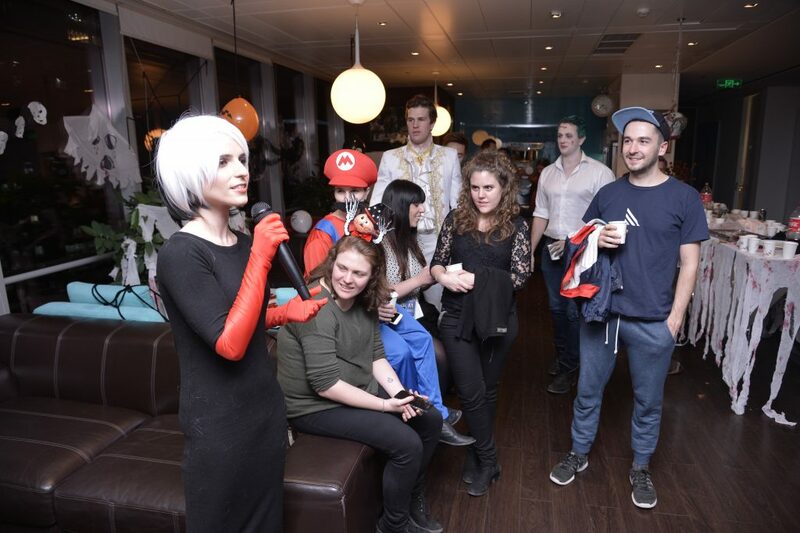 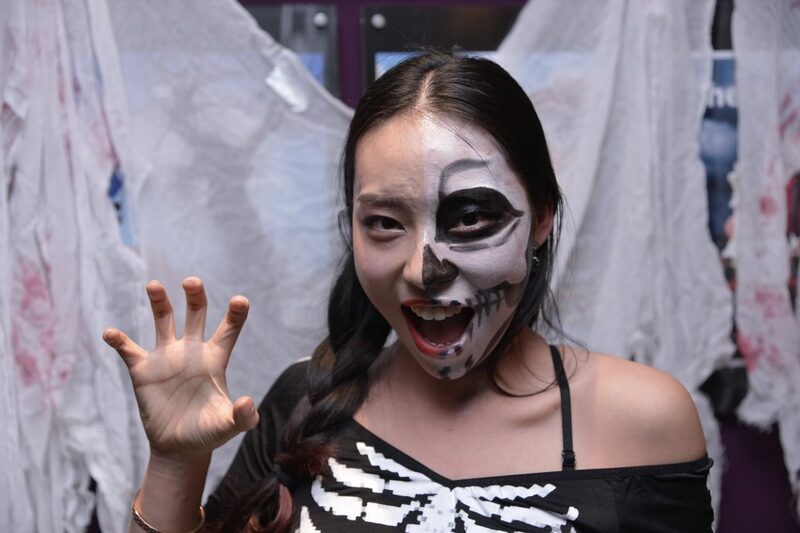 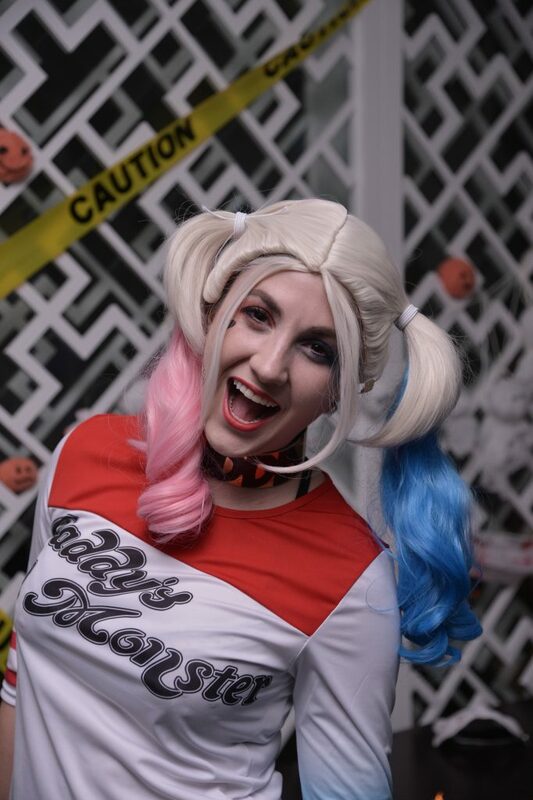 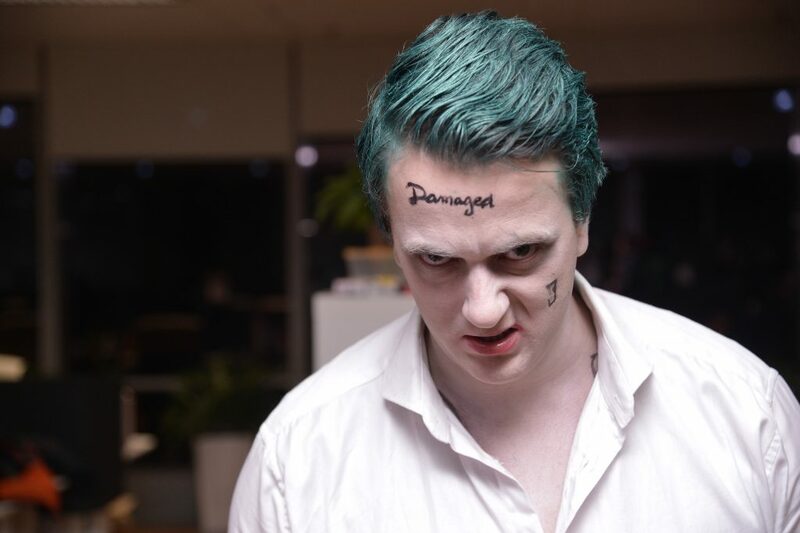 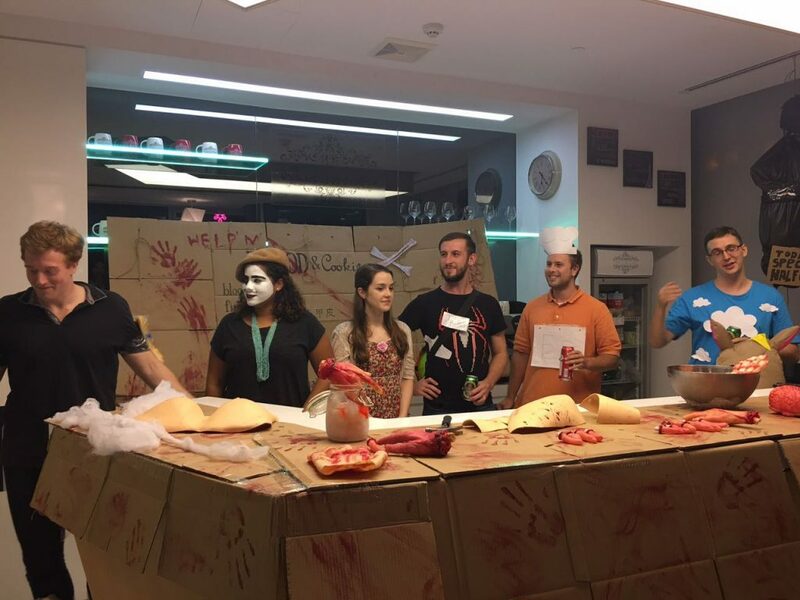 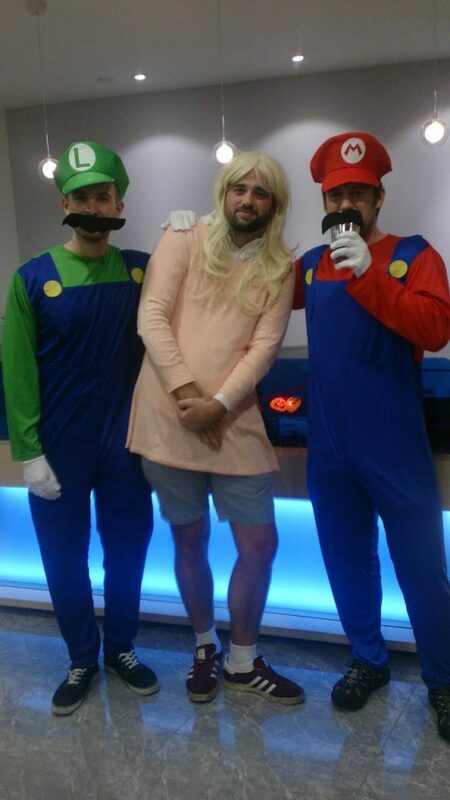 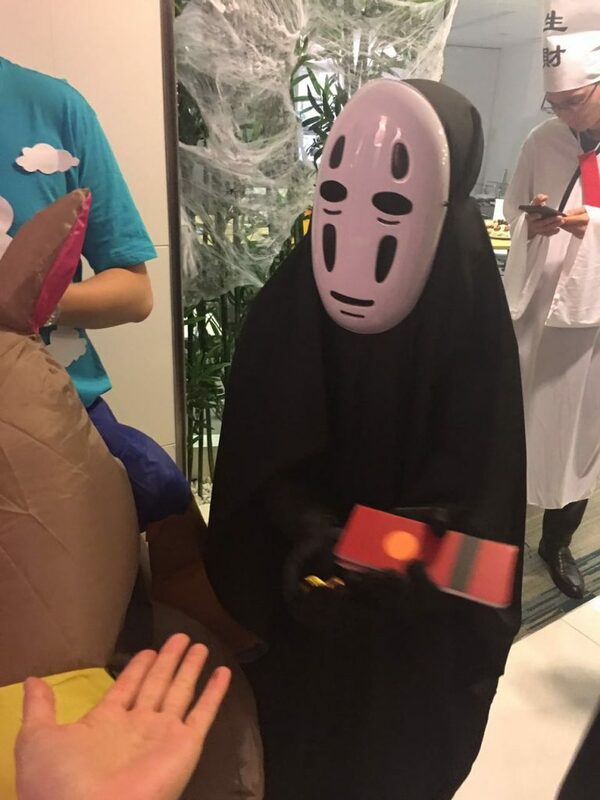 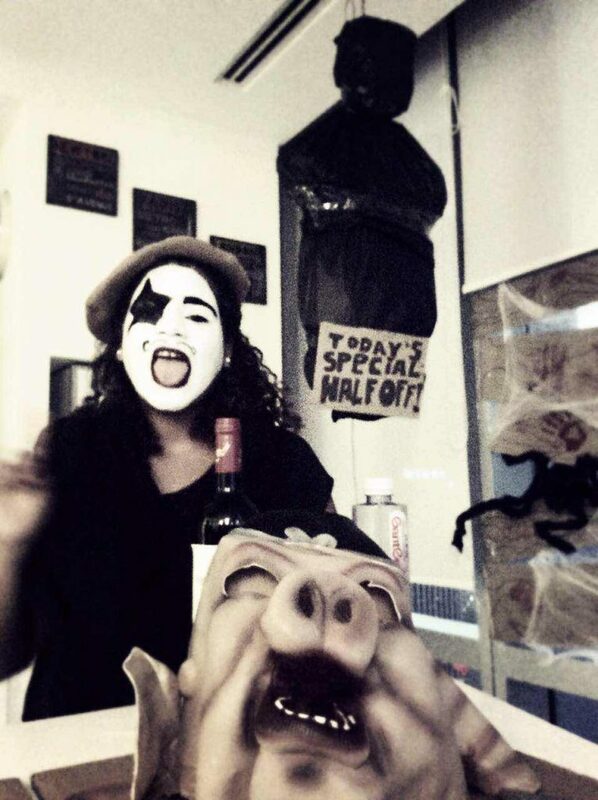 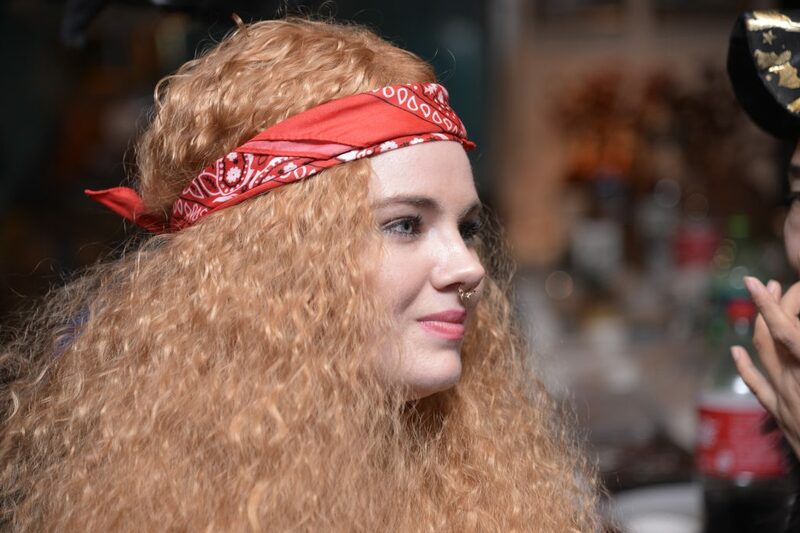 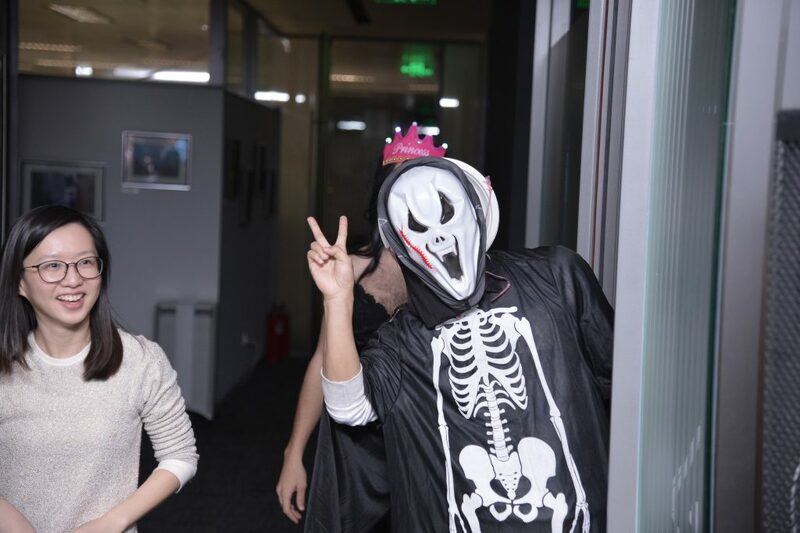 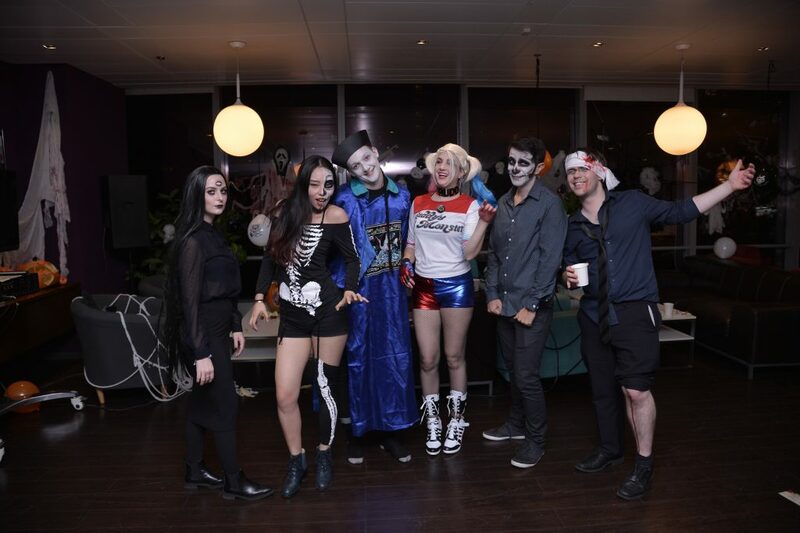 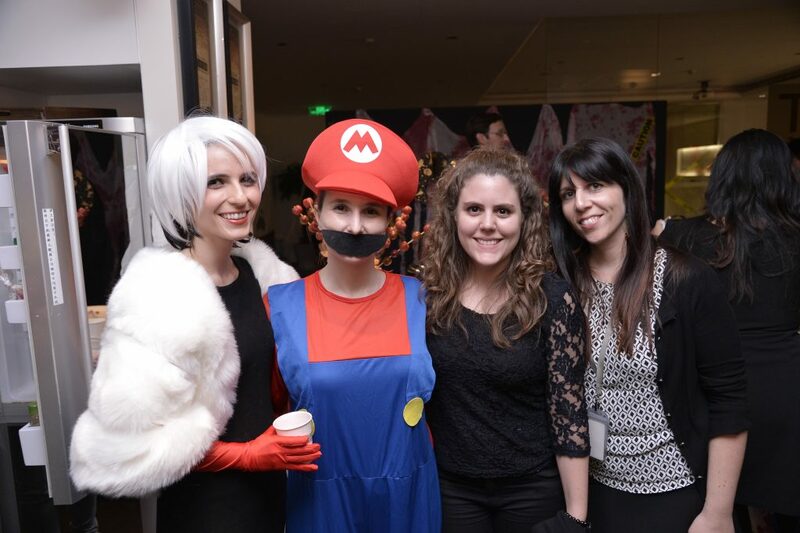 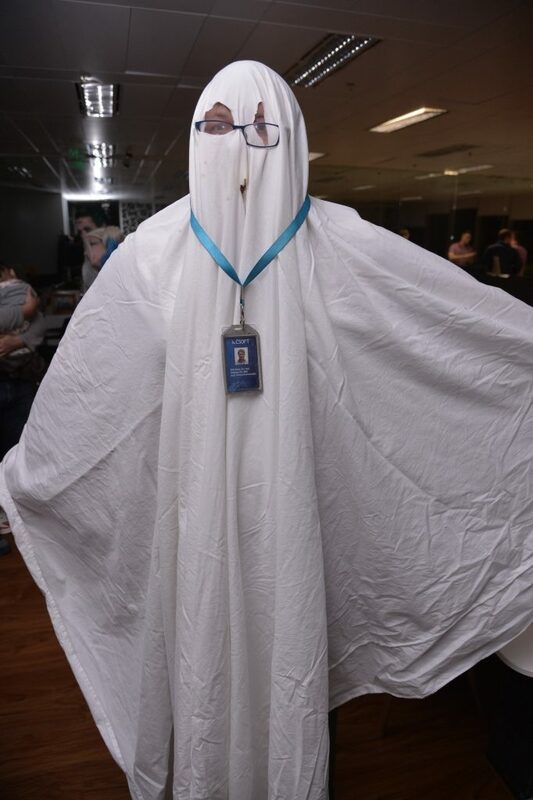 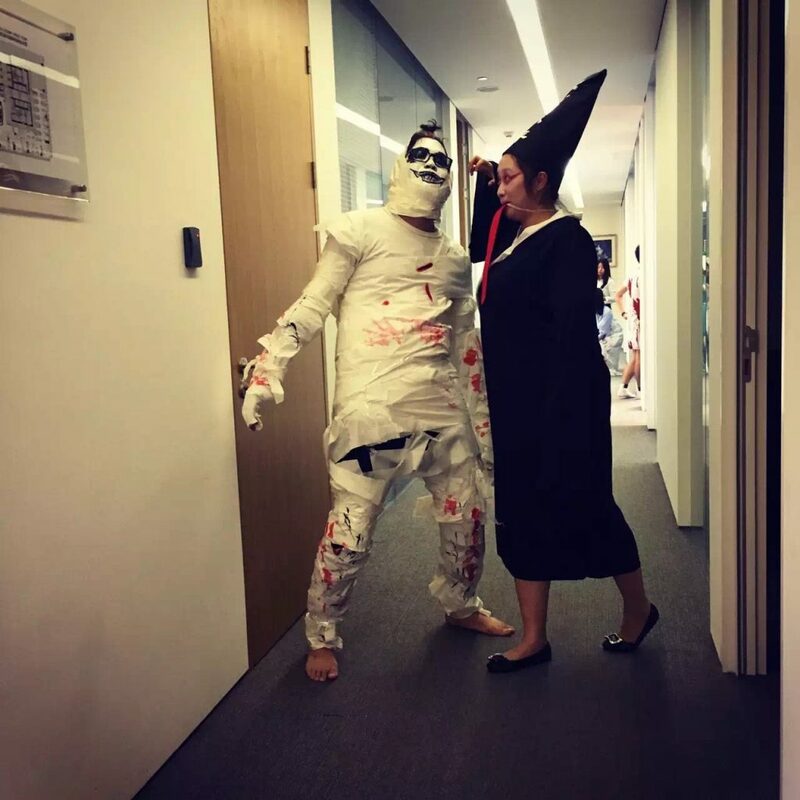 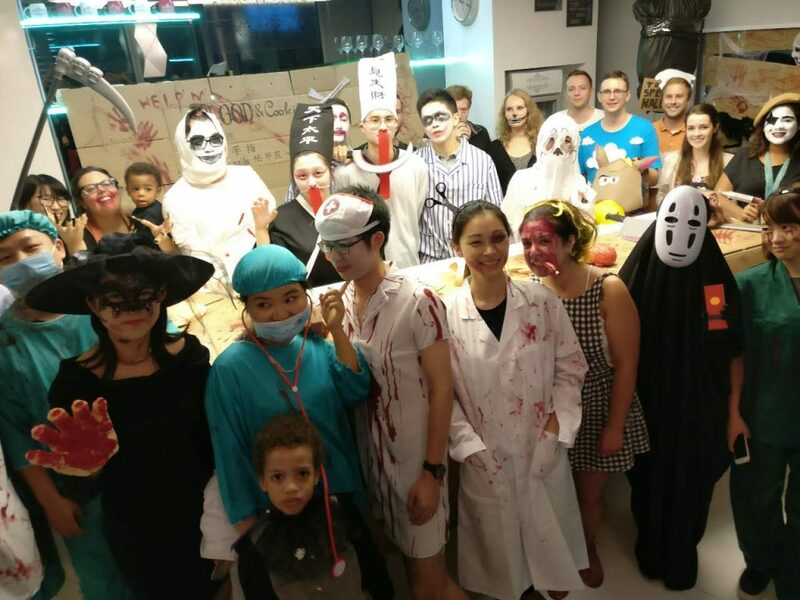 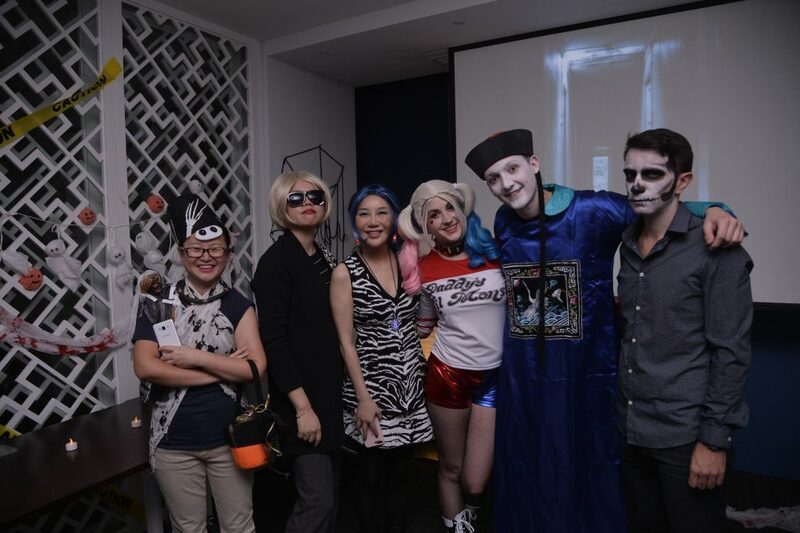 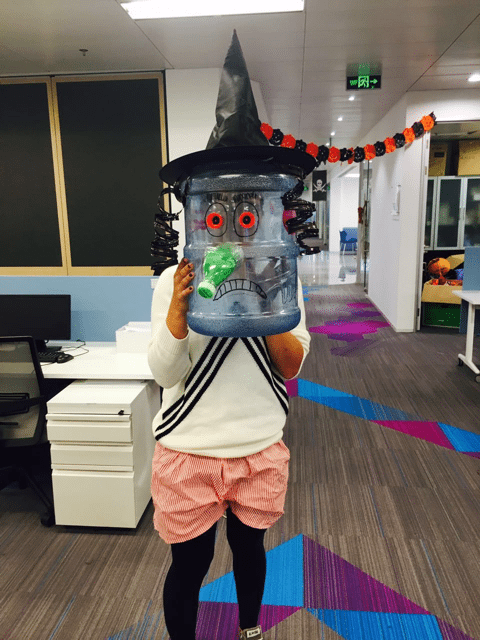 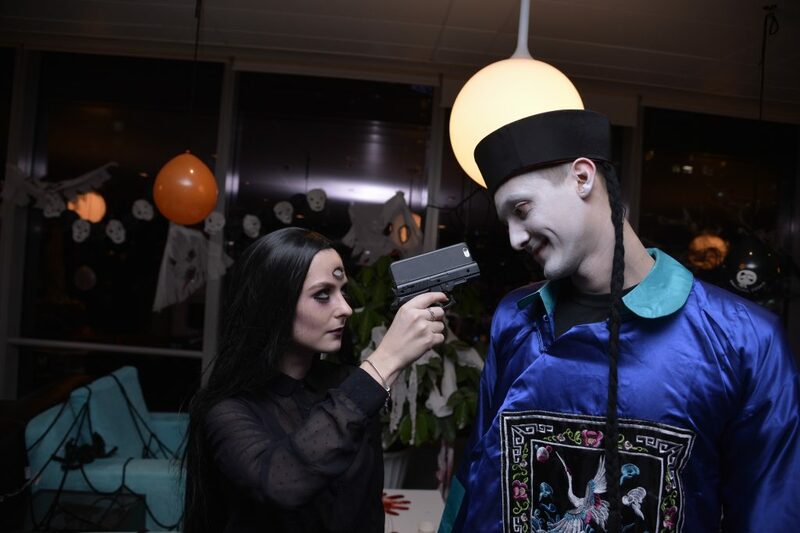 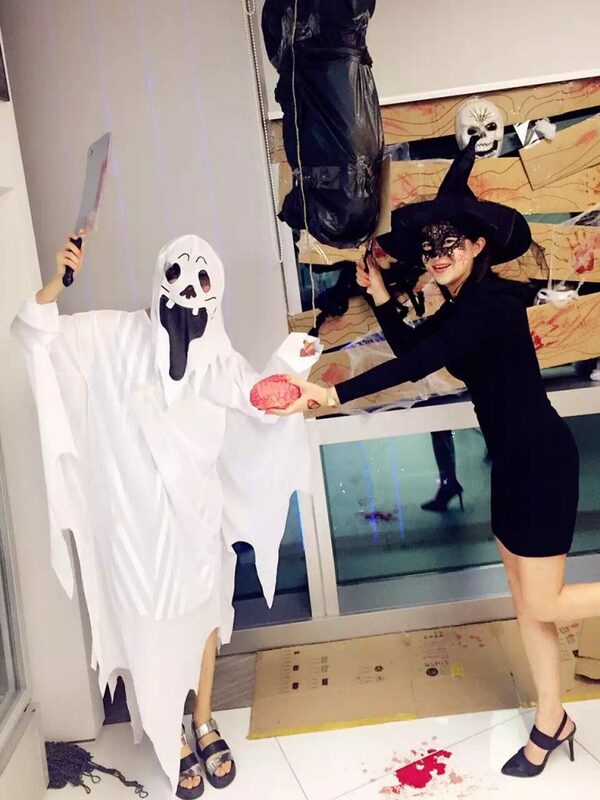 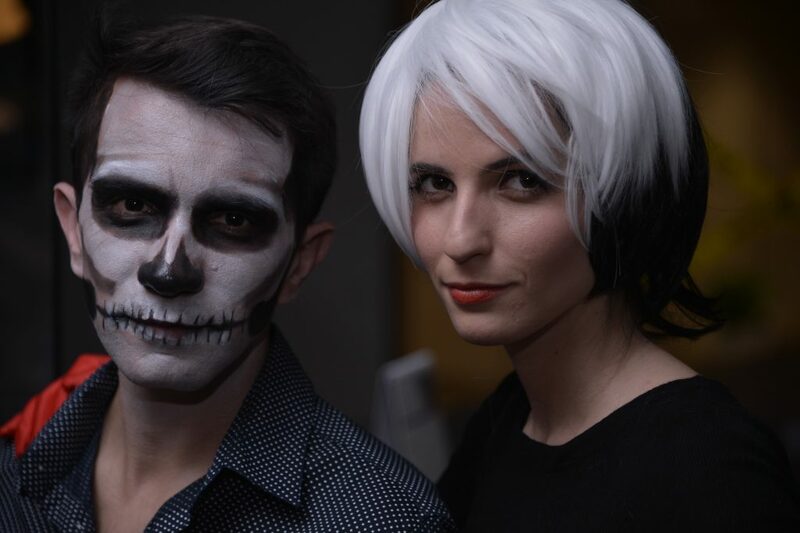 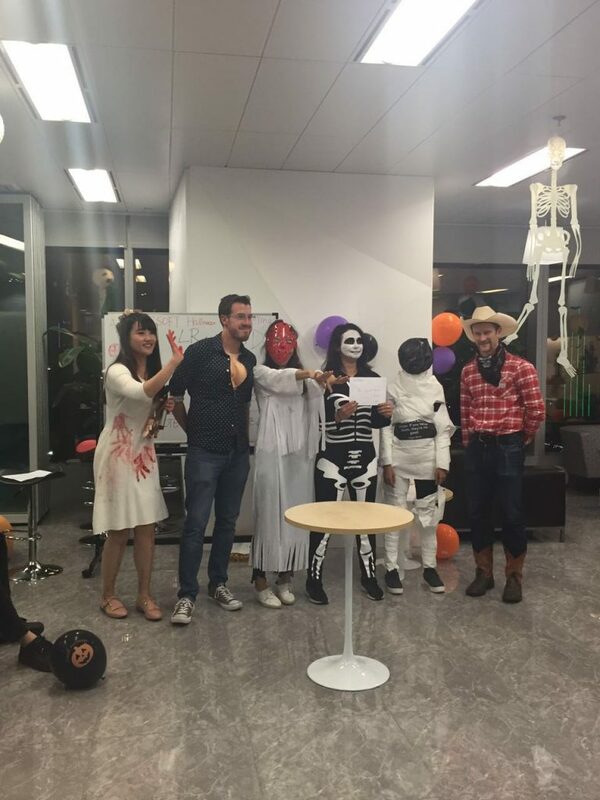 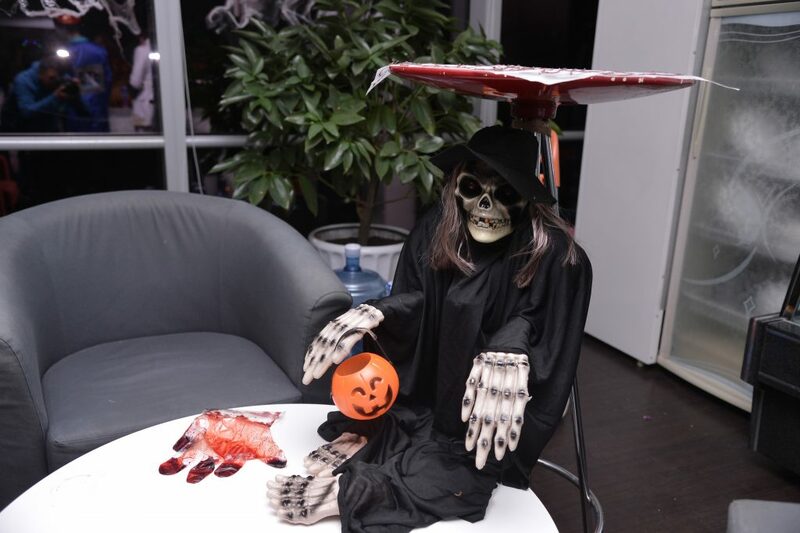 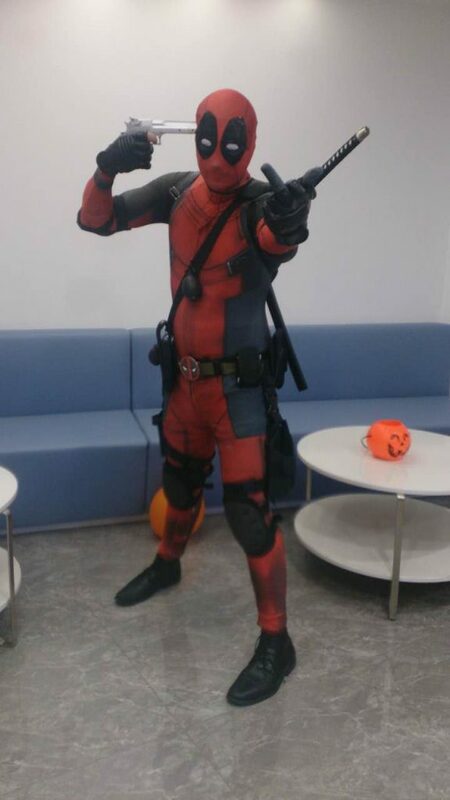 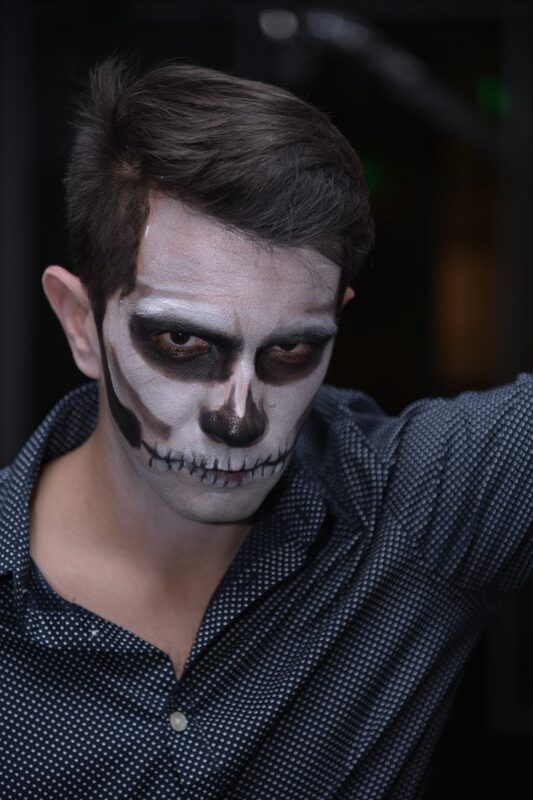 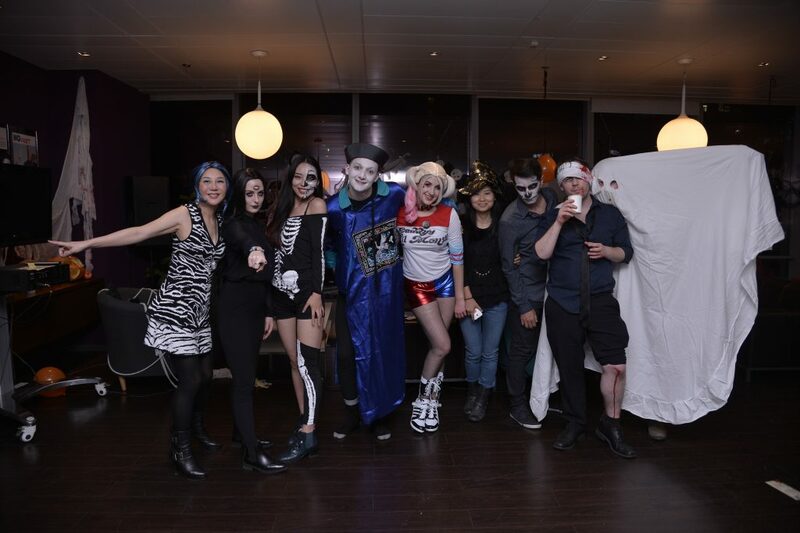 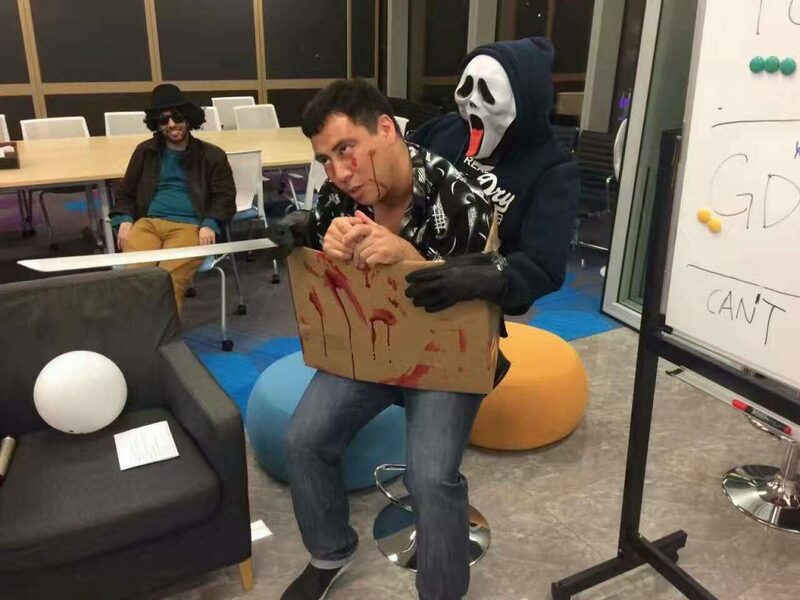 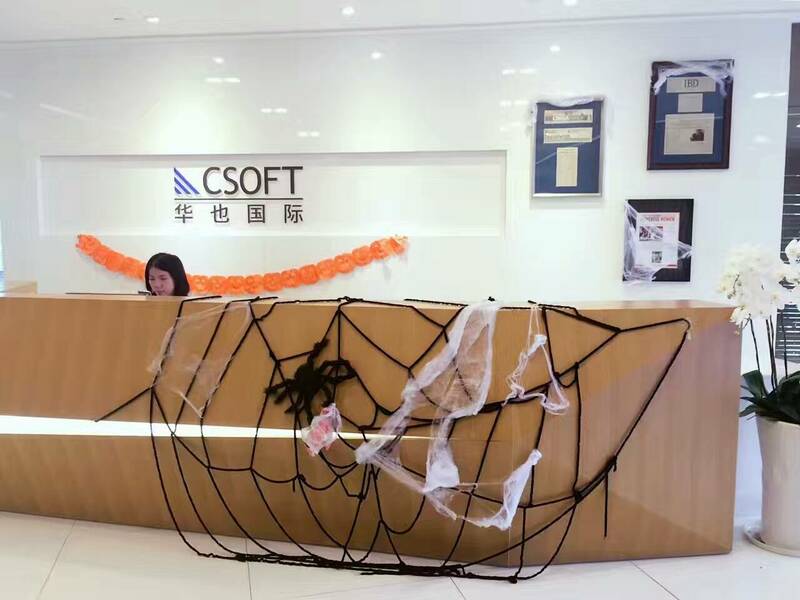 CSOFT offices all around the world had a wonderful time celebrating this year’s Halloween with a host of spooky and fun activities. 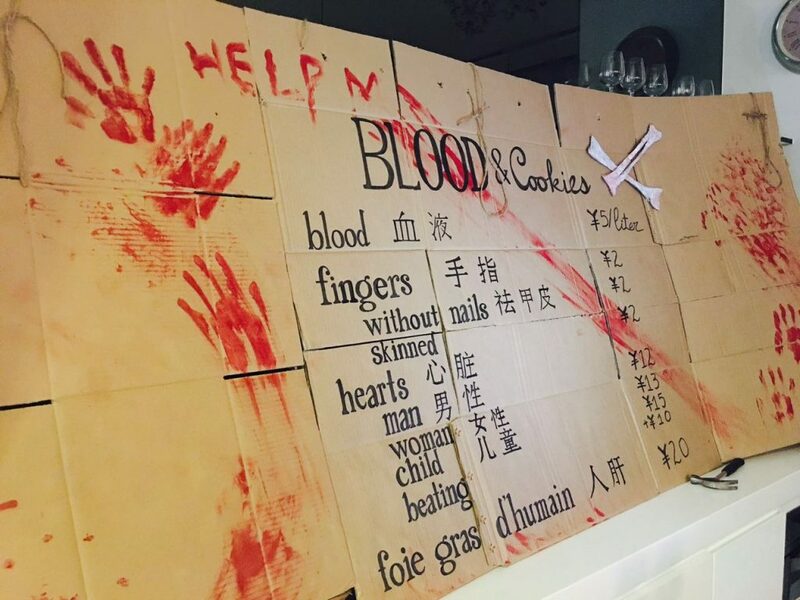 Shenzhen’s MILK & Cookies Café features a new menu, and there’s enough cardboard to feed an army. 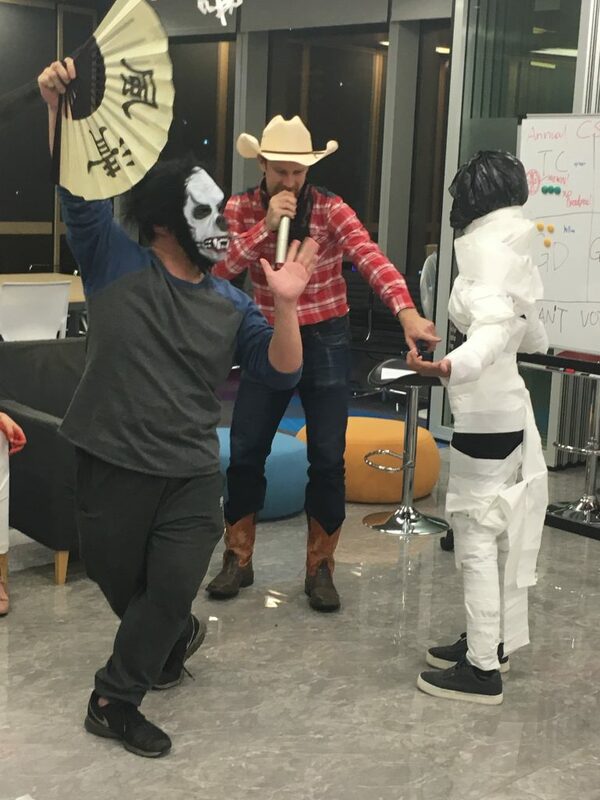 Whether you want cardboard cookies, cardboard sandwiches, or just to sit in a cardboard room, MILK & Cookies can make it happen. 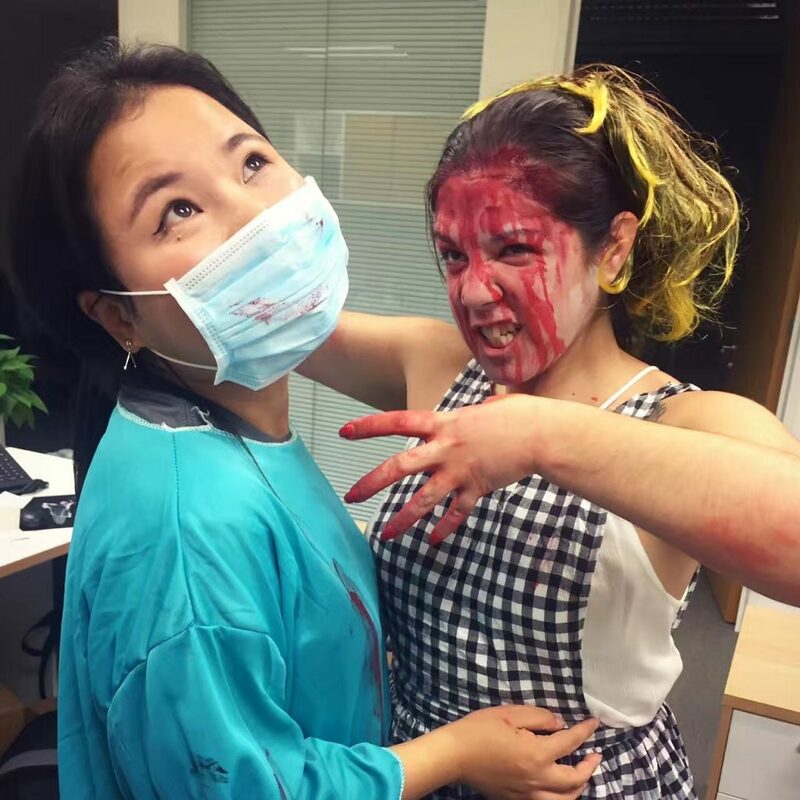 On the day of the city’s biggest beauty contest, one of our contestants went to the most famous plastic surgeon in town. 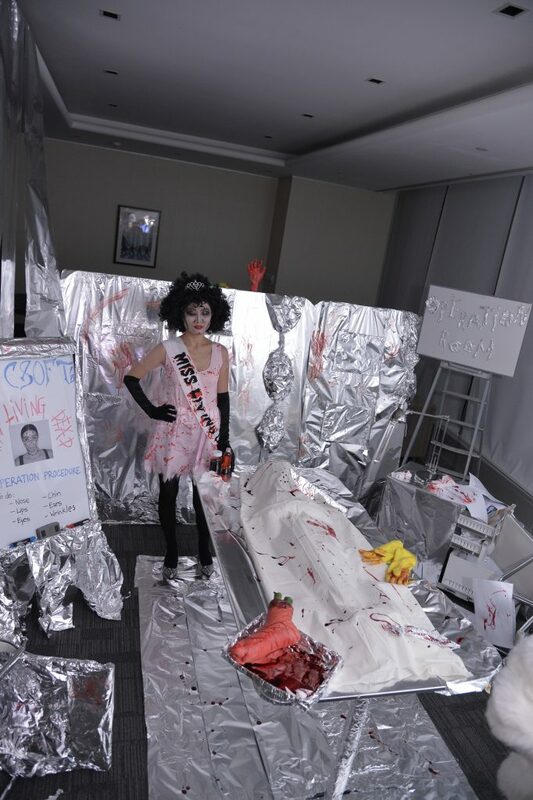 She was expecting to pop in quickly for a facial procedure or two, but found herself trapped in the aluminum walls of horror. 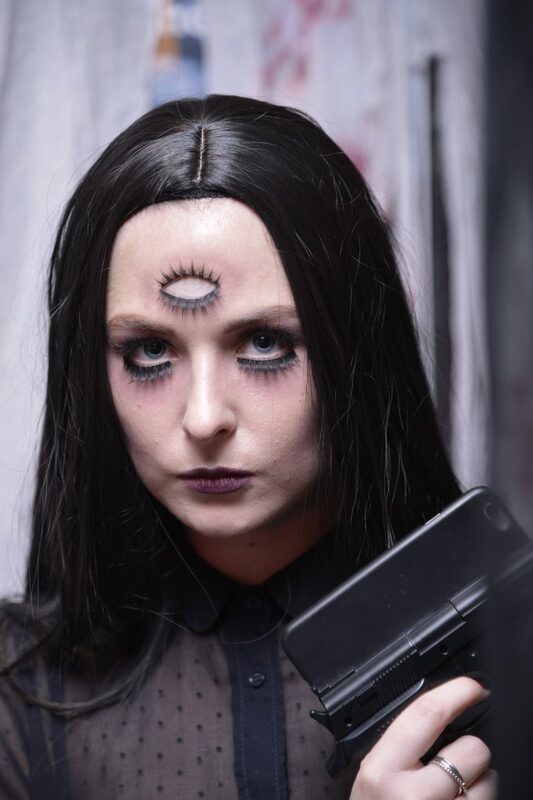 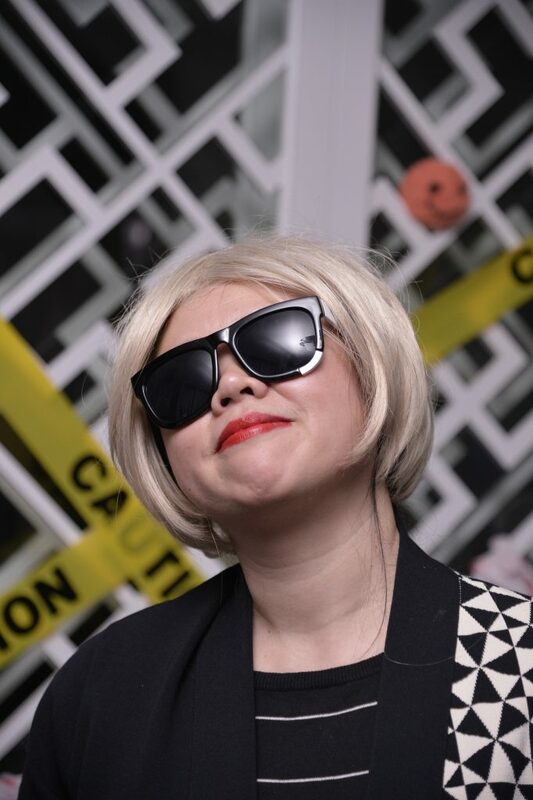 In the end, she accepted her aluminum-filled fate and went on to become CSOFT’s Miss Living Dead. 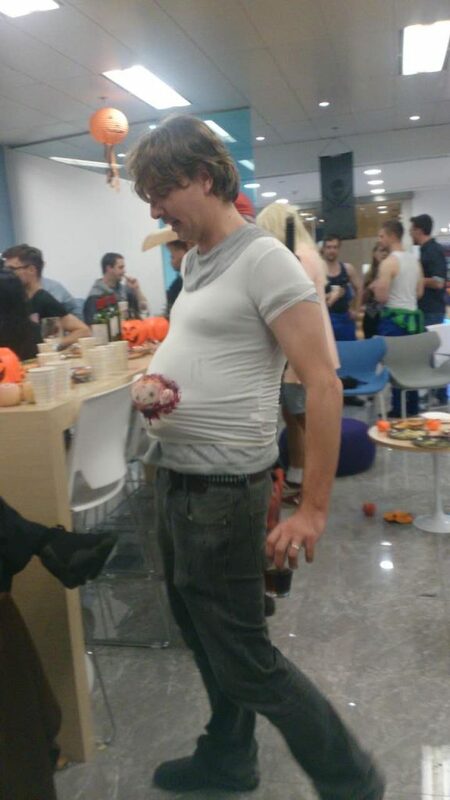 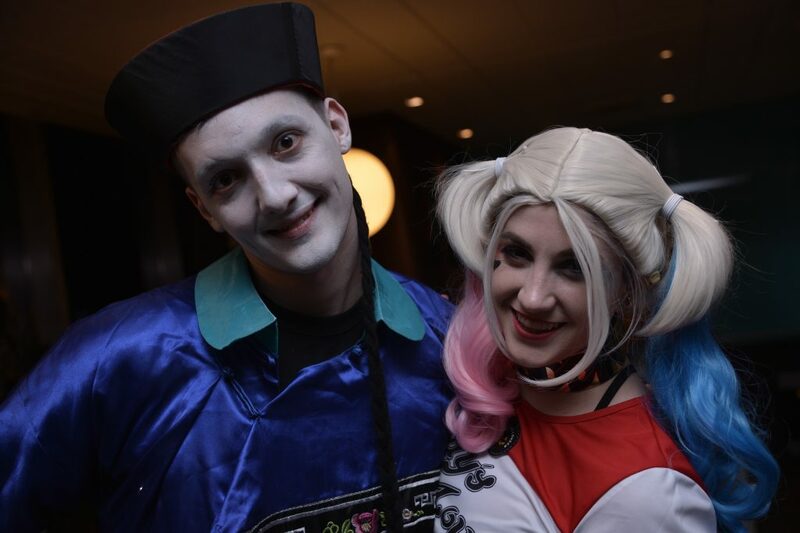 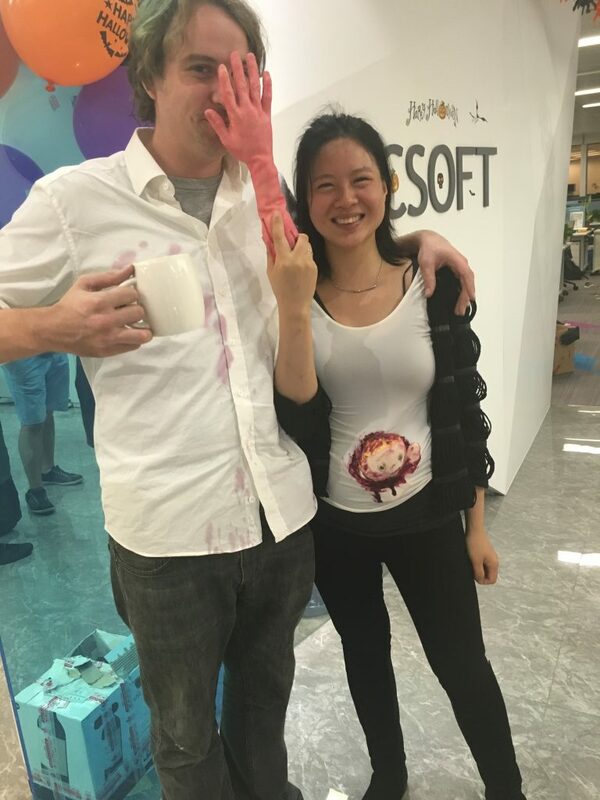 In the fight for best costume, CSOFTers showed off their creativity . 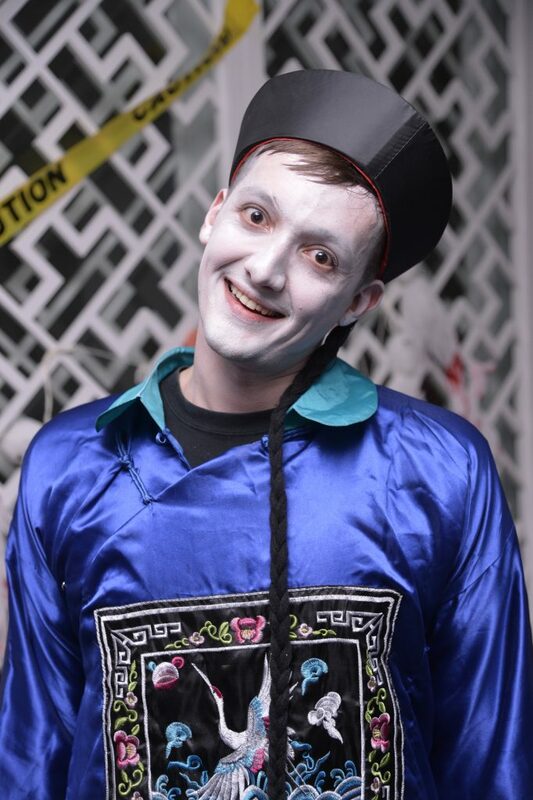 We had everything from Ming-era ghosts to walking garbage bags and some amazing face painting skills on show. 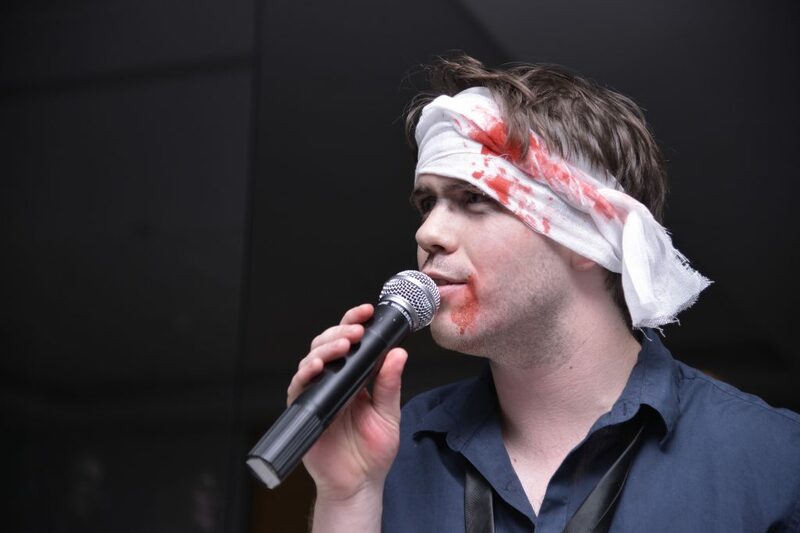 Meanwhile, the offices were quickly transformed into haunted houses with gory rags hanging off walls and ghoulish operating rooms. 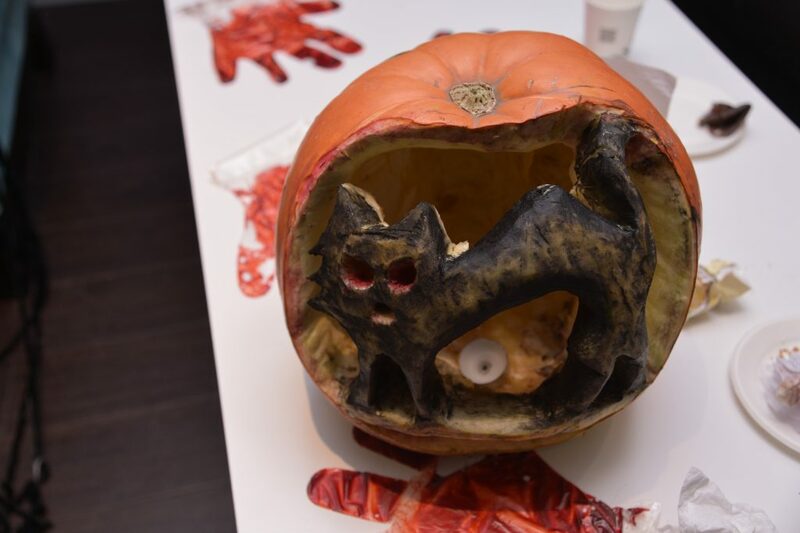 The night ended with the pumpkin carving contest as CSOFTers showed off their artistic side. 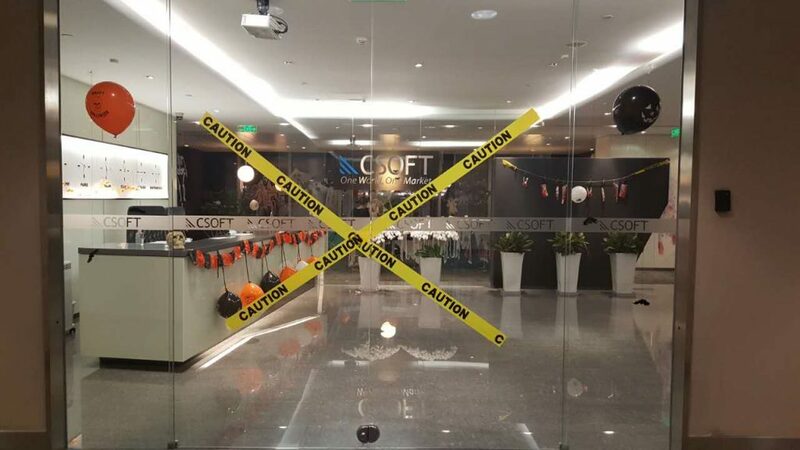 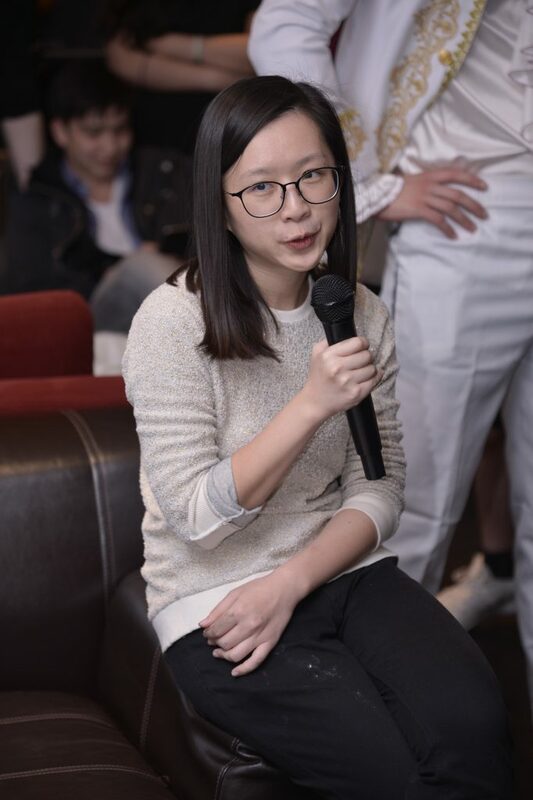 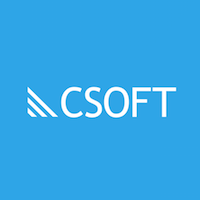 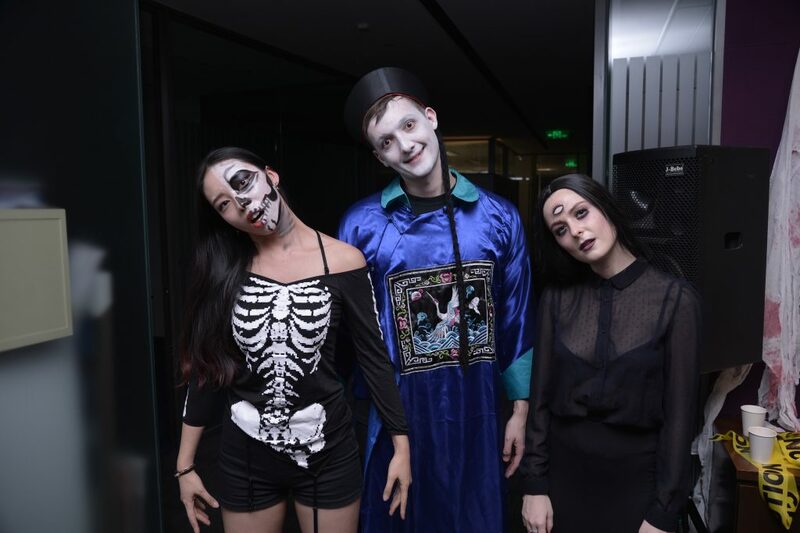 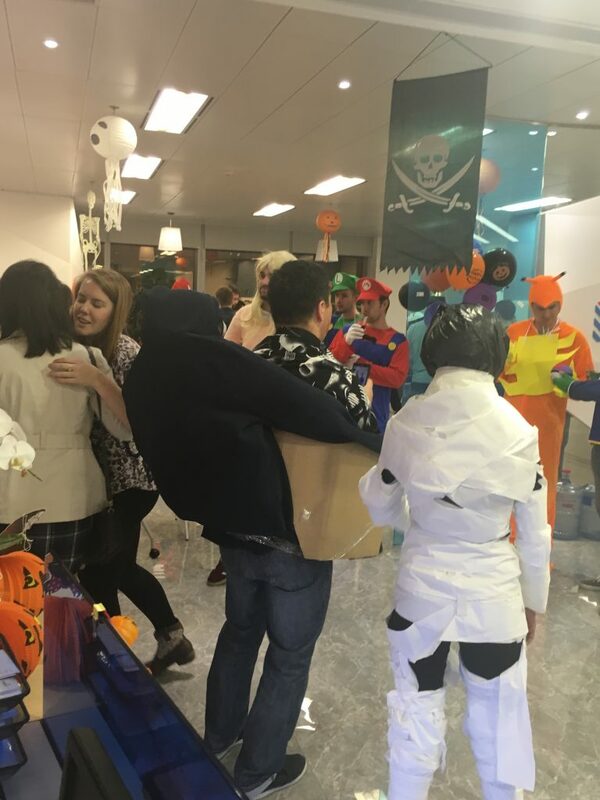 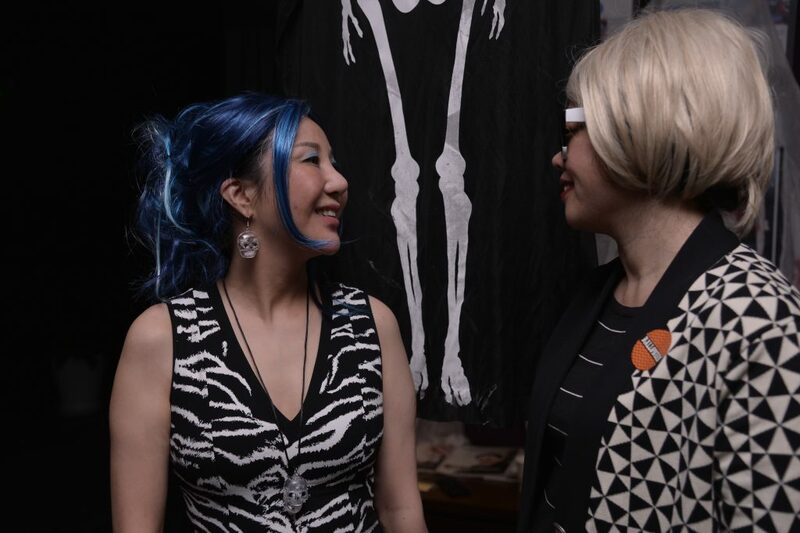 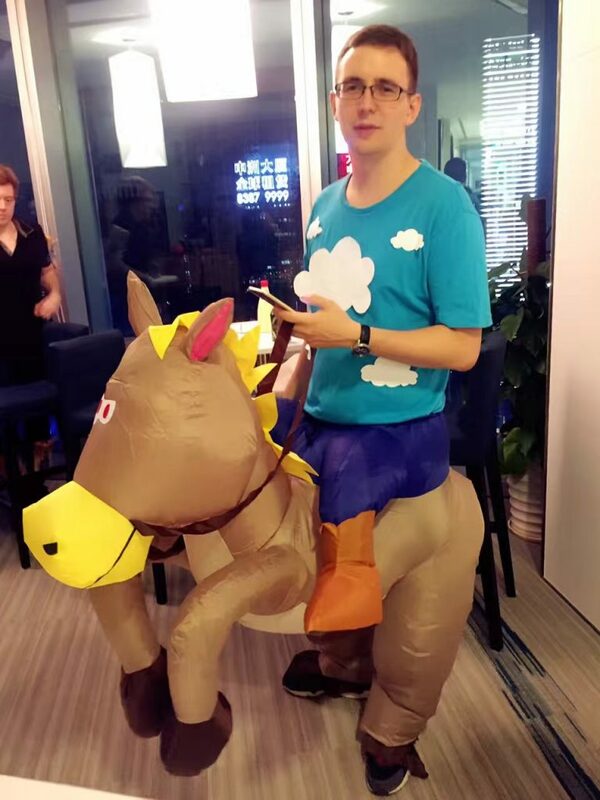 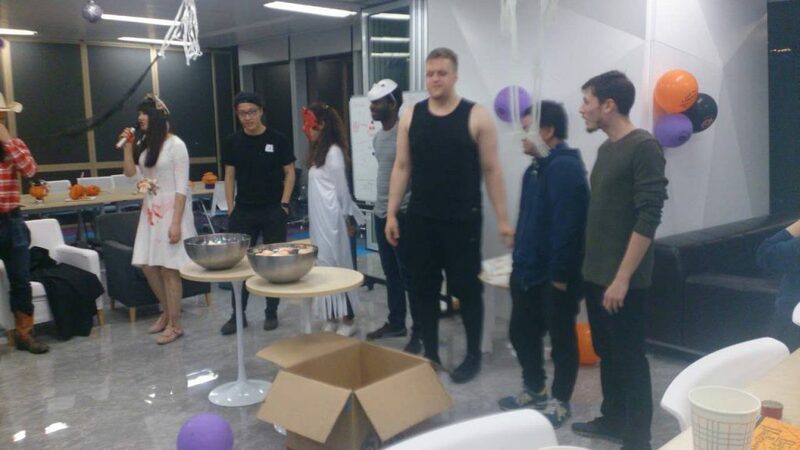 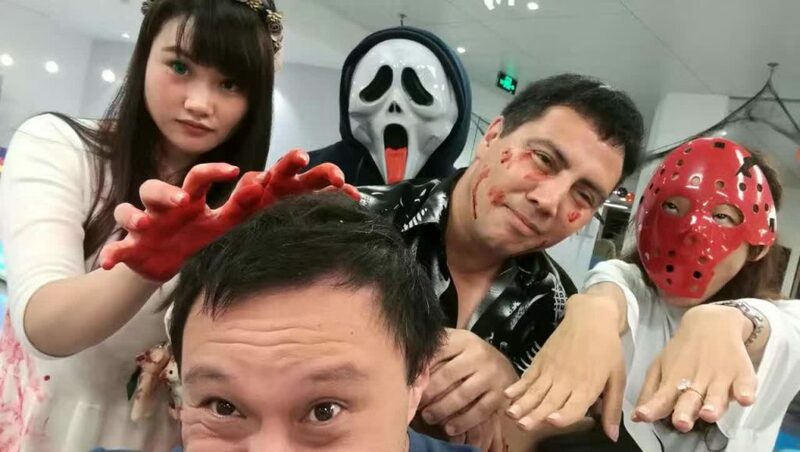 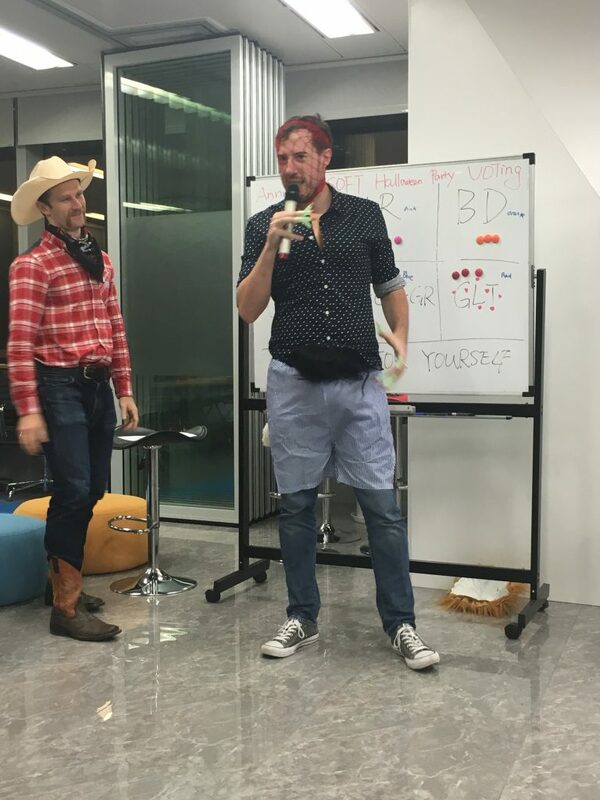 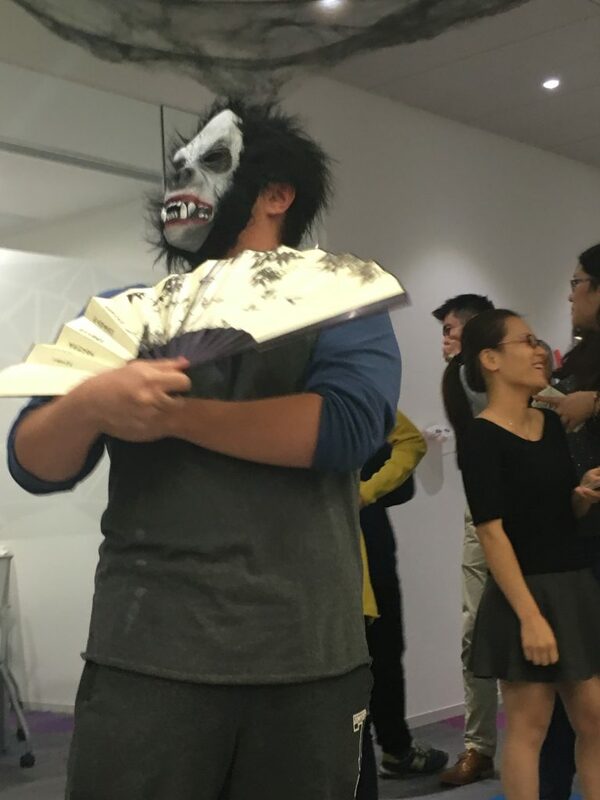 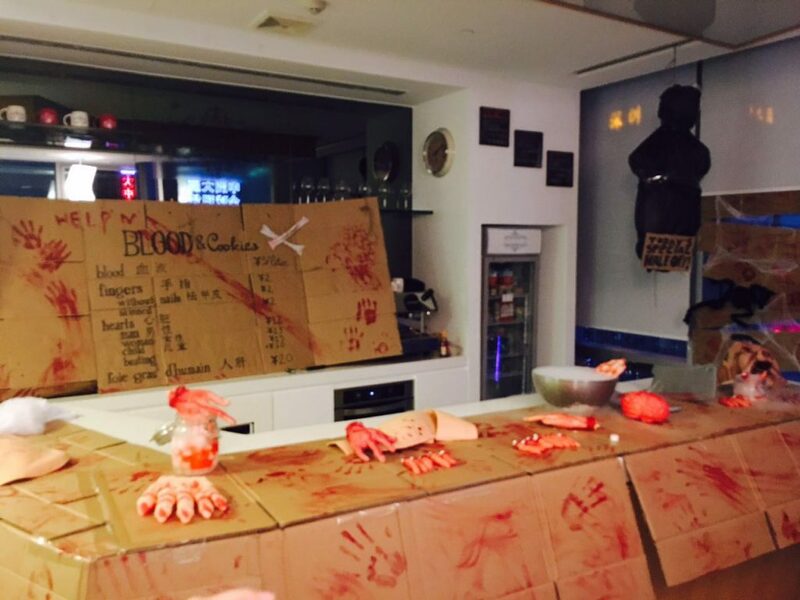 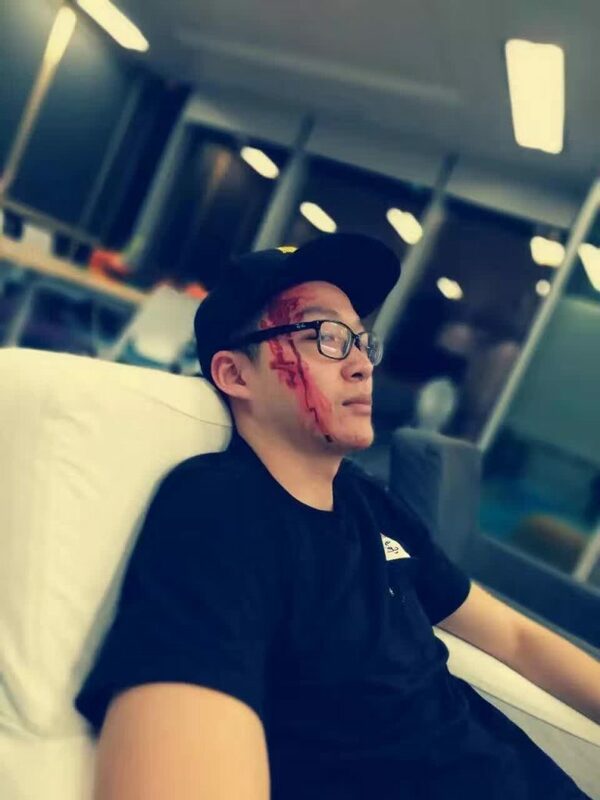 In CSOFT’s worldwide headquarters, Beijing, the night ended with the office coming together in the MILK and Cookies Café to hear a twisted tale of the origin of this international place of solace. 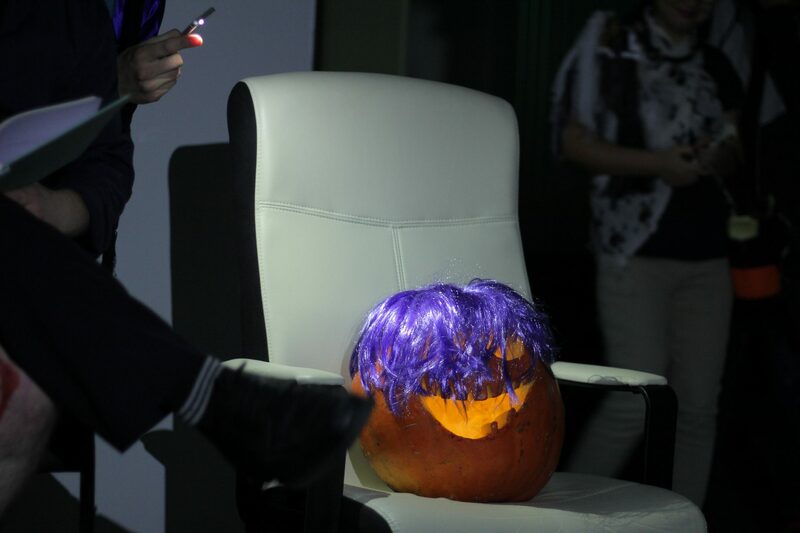 The Legend of MILK and Cookies and the Old Pumpkin Woman with Purple Hair. 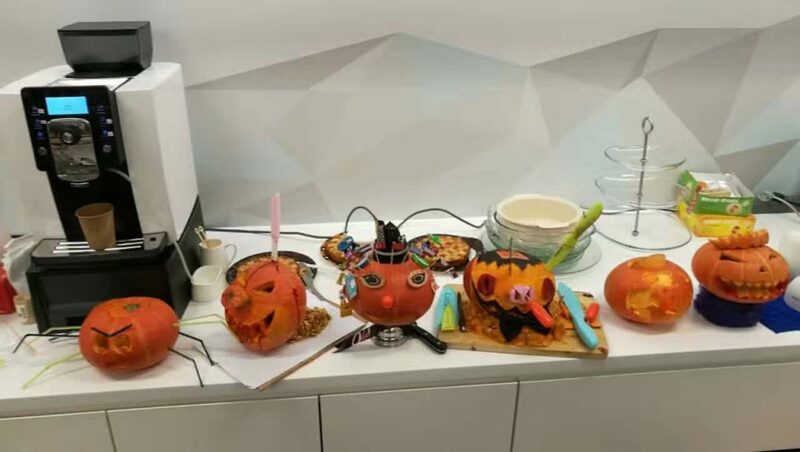 Thousands of years ago, in the place where Milk and Cookies once stood, there was an old shop with a old woman that sold the best fruits in town, in the back of her shop, deep in the cellar she grew her very special fruits – These fruits were magical and could change the people that ate them to help them do incredible things, one man that ate her apples became the Emperor of China, another man that ate the oranges built miles of the great wall all by himself. 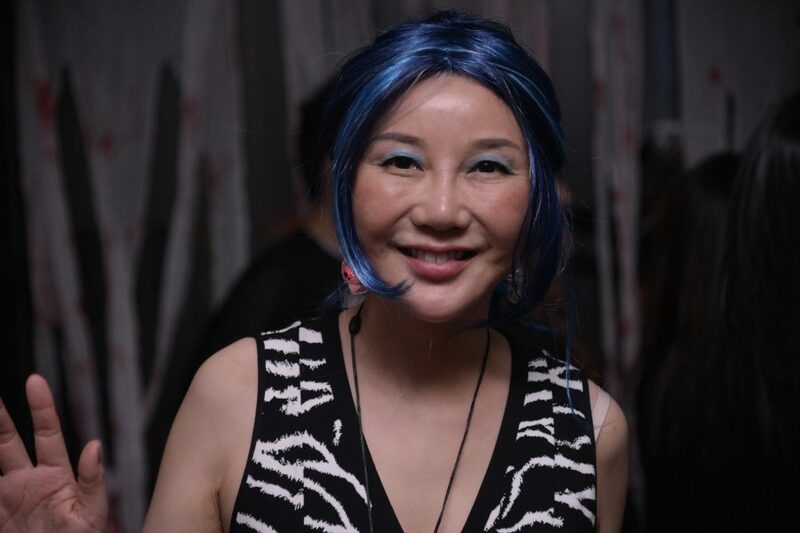 The old woman ate her own special fruits to help her live longer but the side effects of the fruits gave her very purple hair. 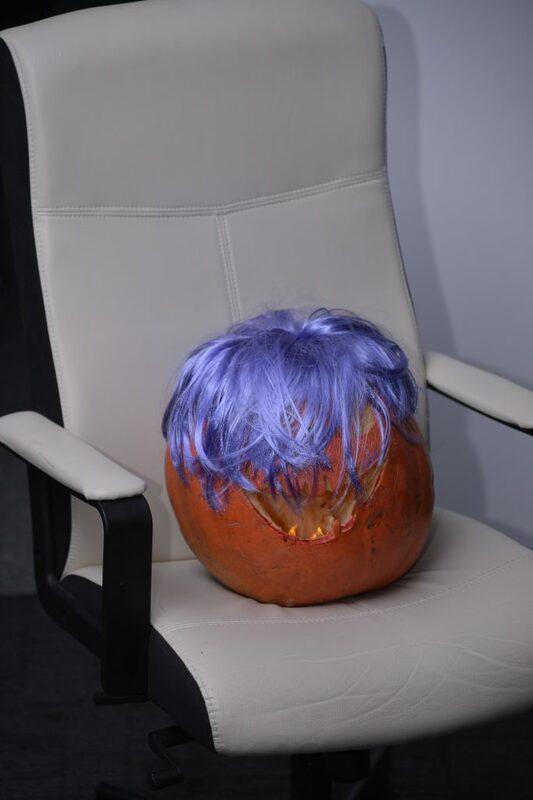 They used to call her… the old woman with the purple hair. 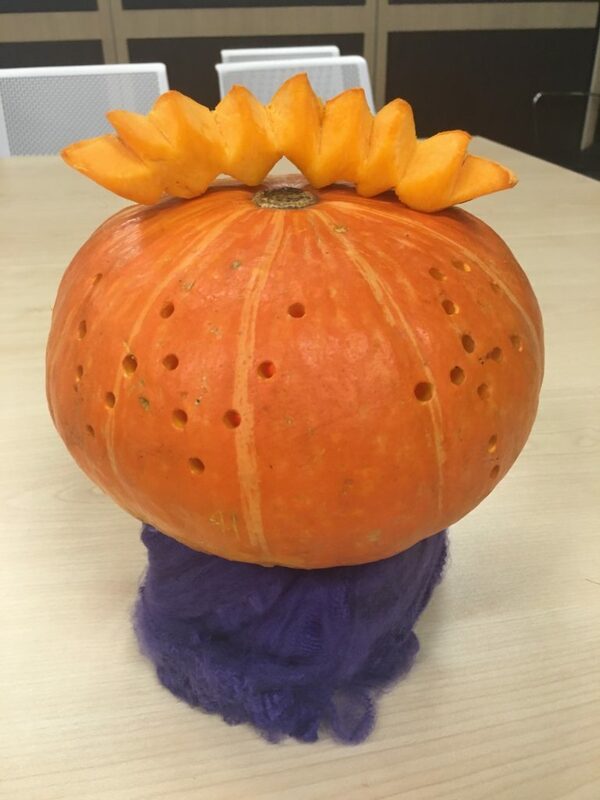 So from now on, whenever you decide to indulge in the delicious treats of Milk and Cookies, its best to leave the pumpkin pie well alone.